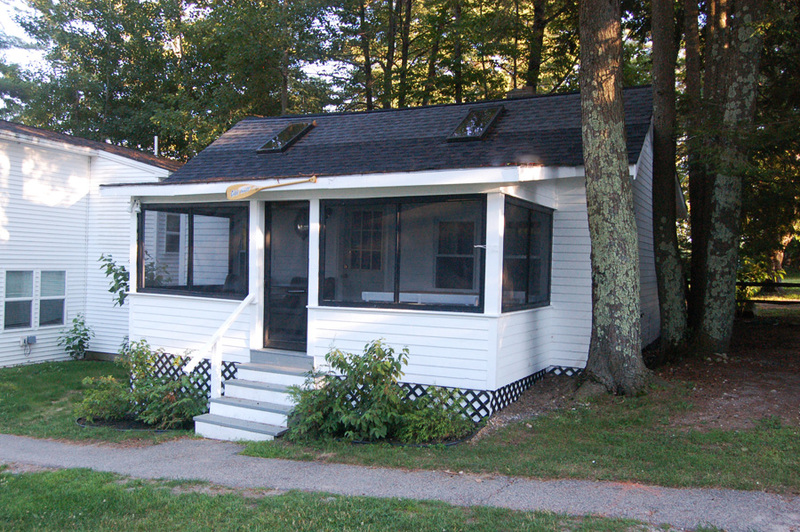 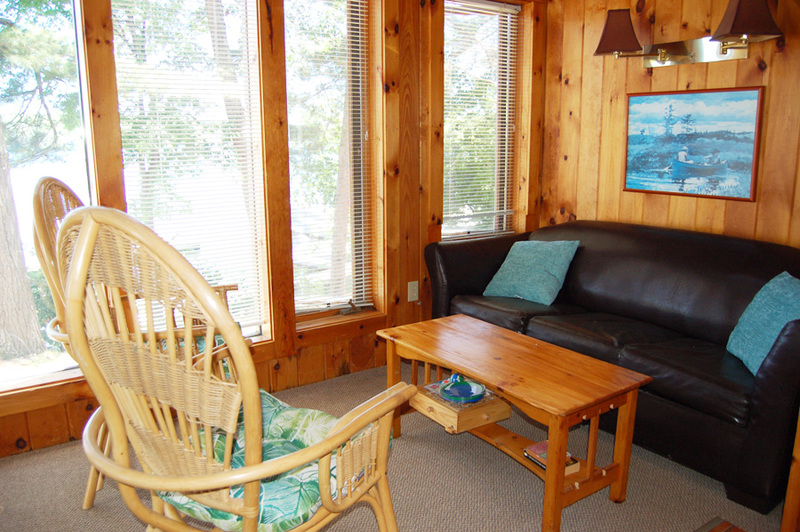 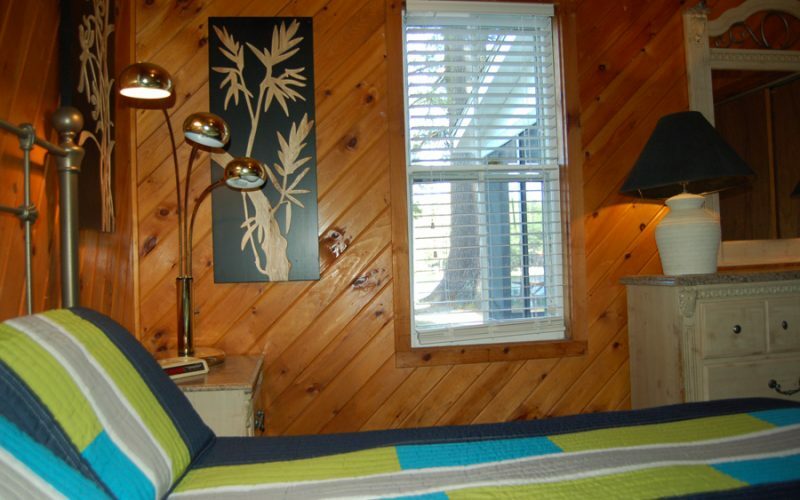 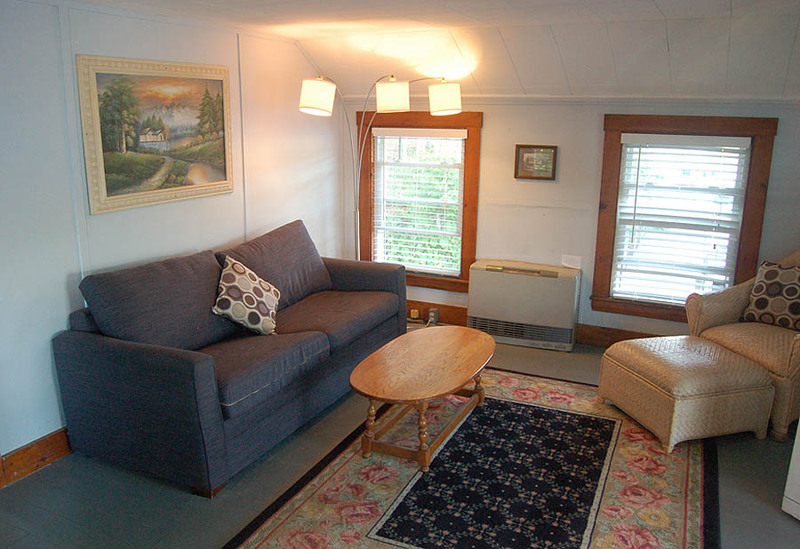 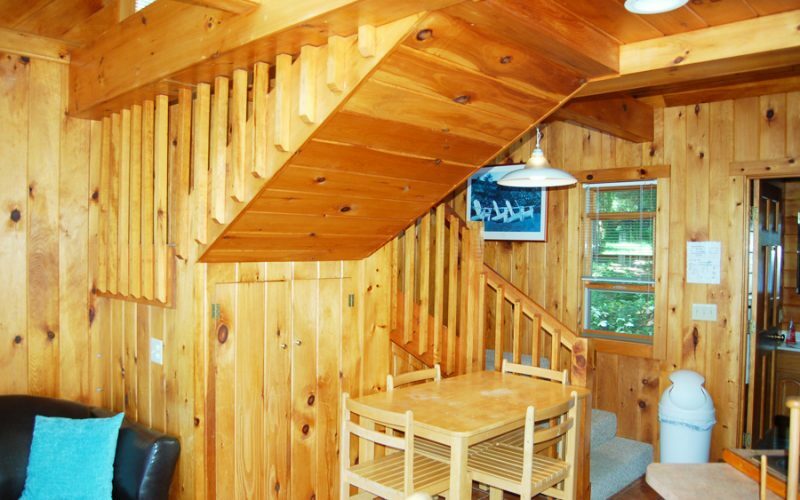 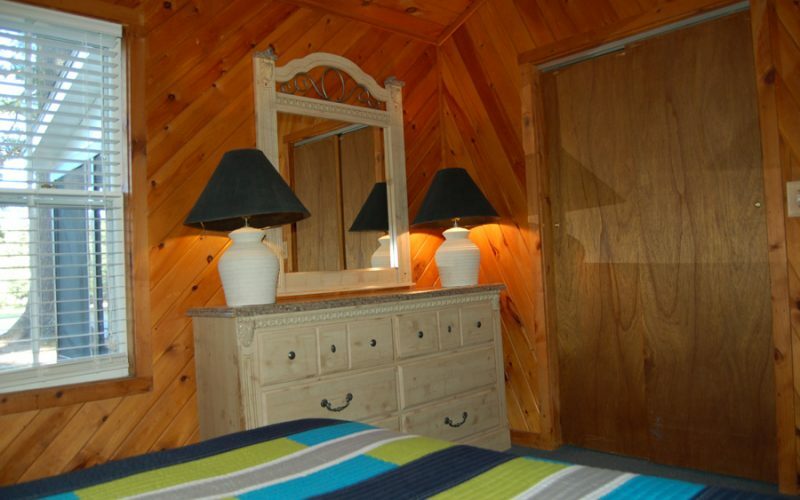 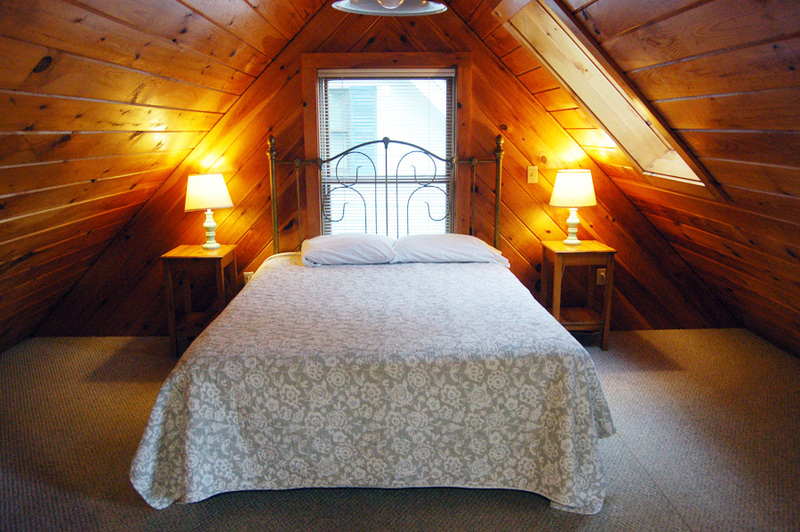 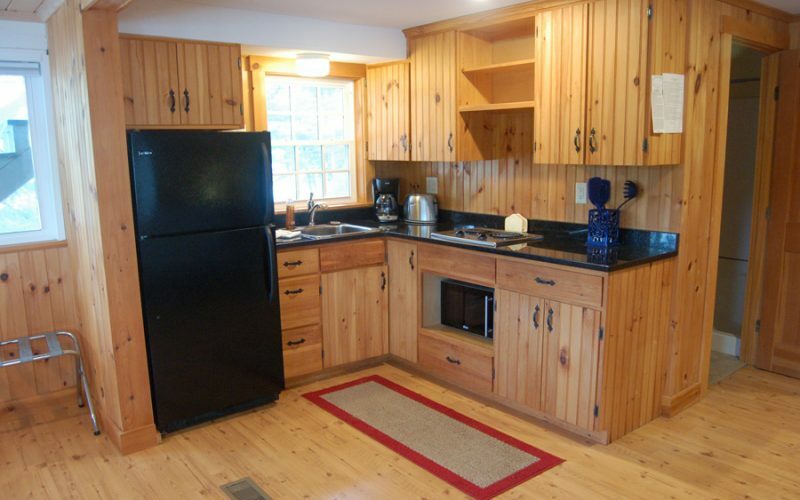 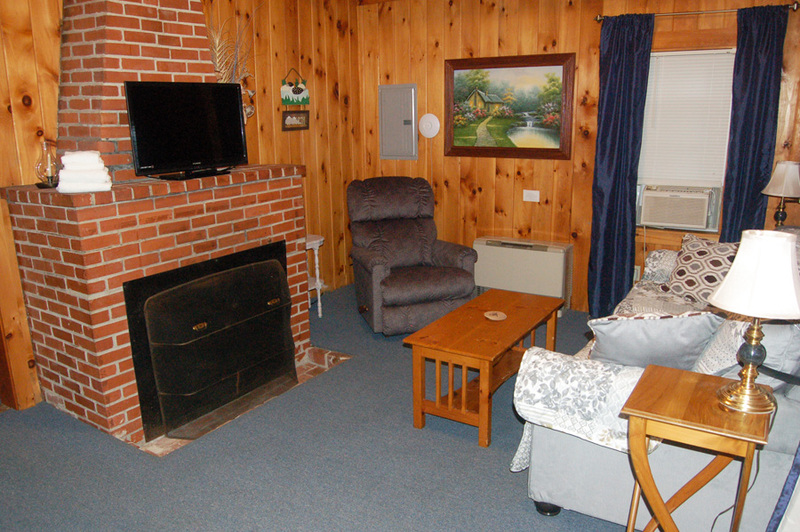 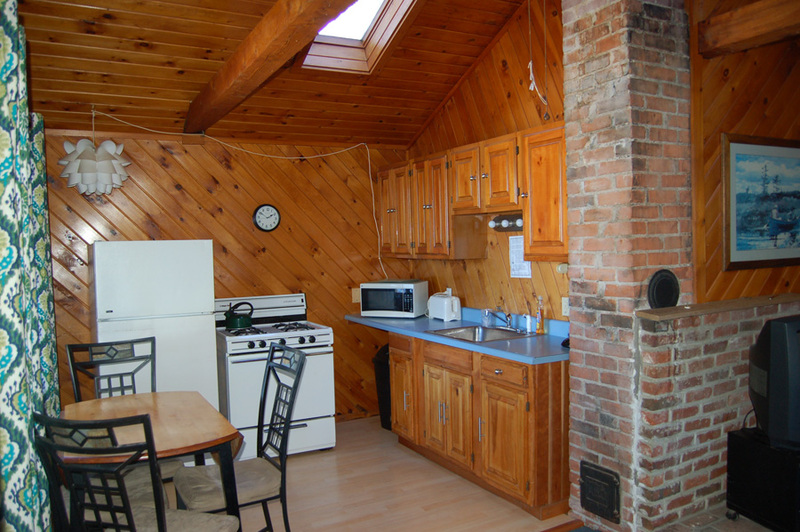 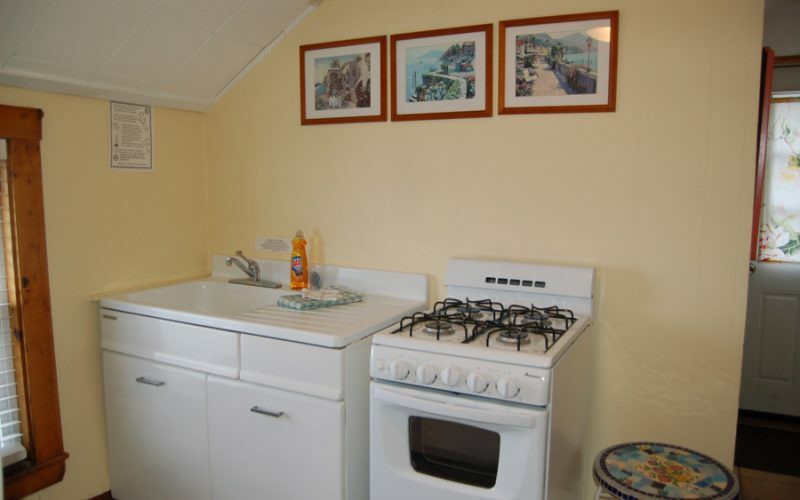 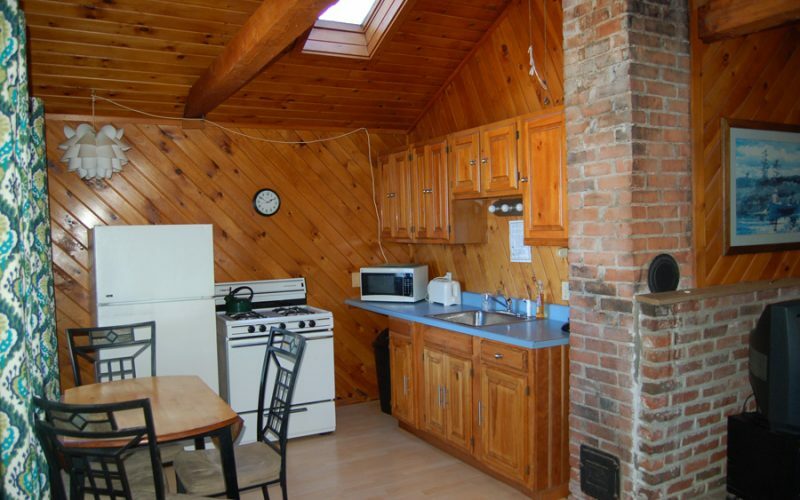 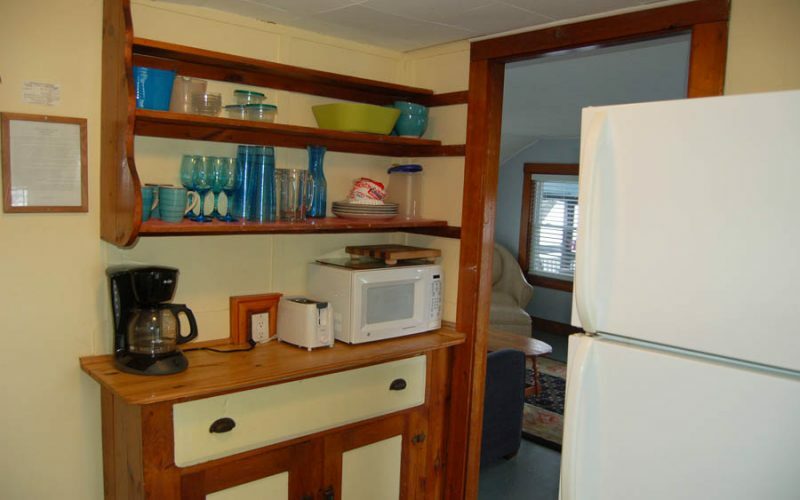 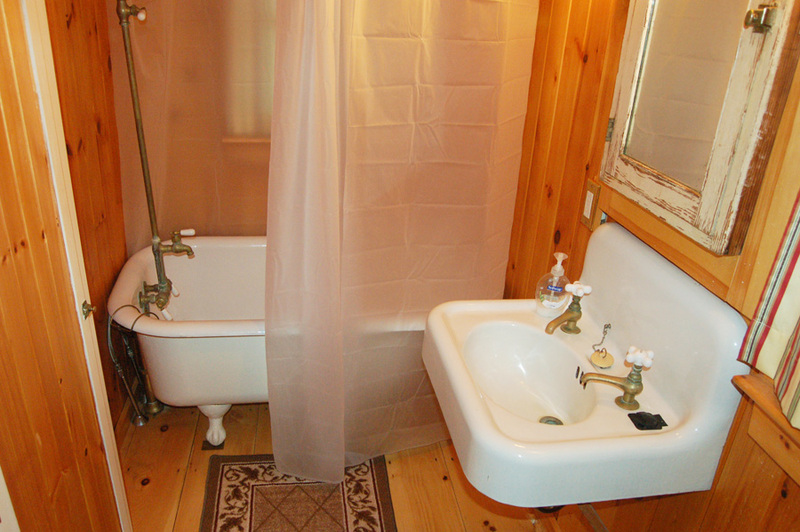 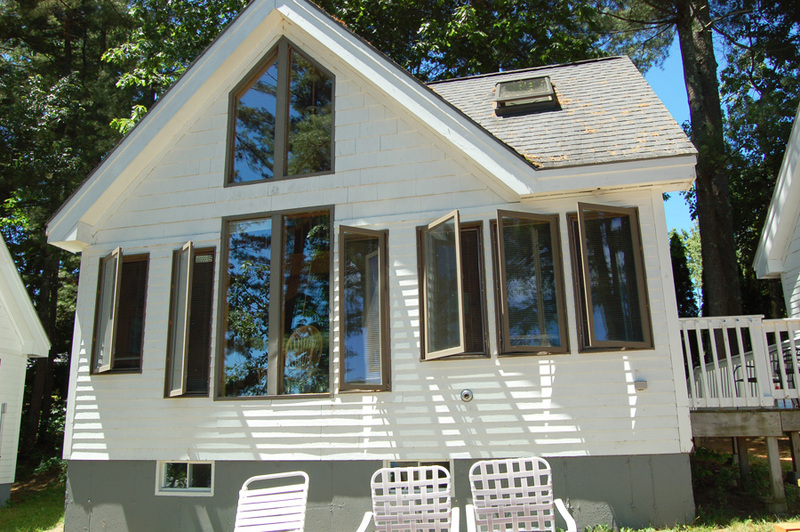 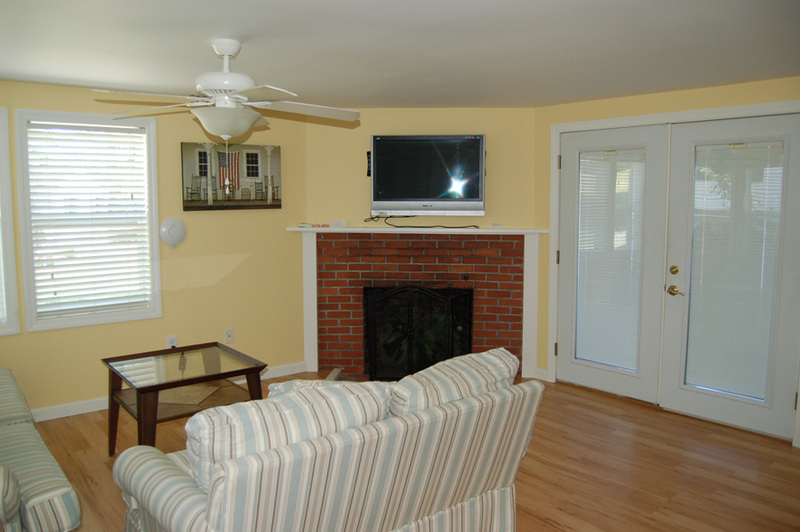 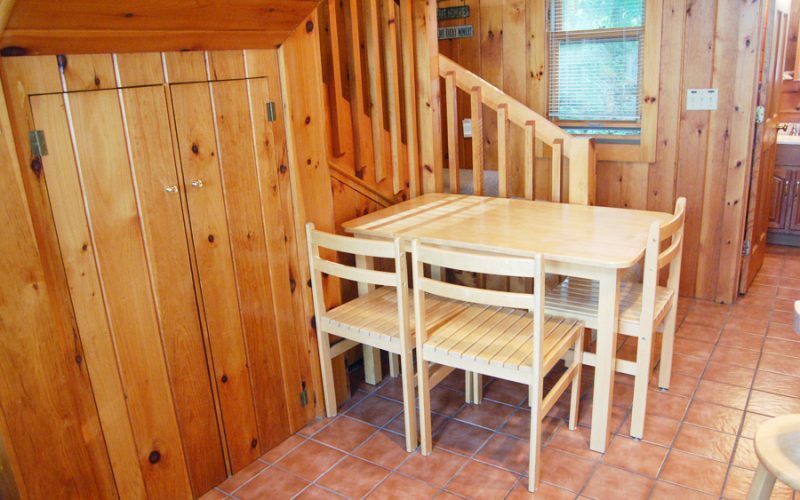 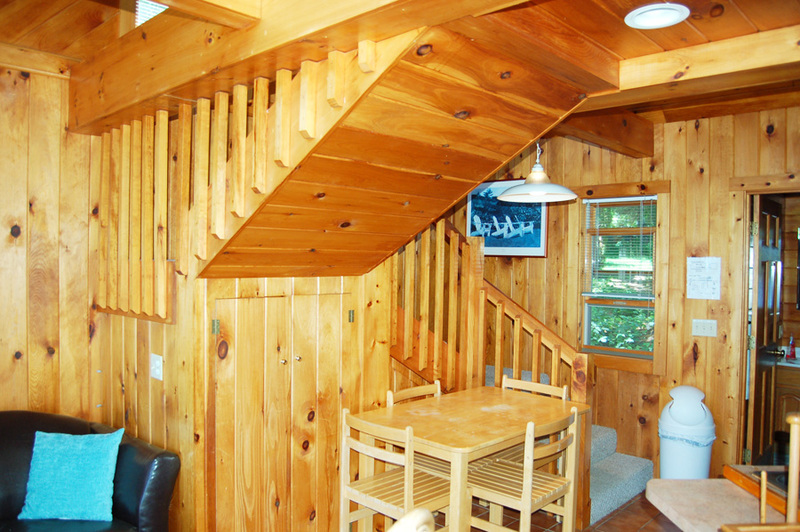 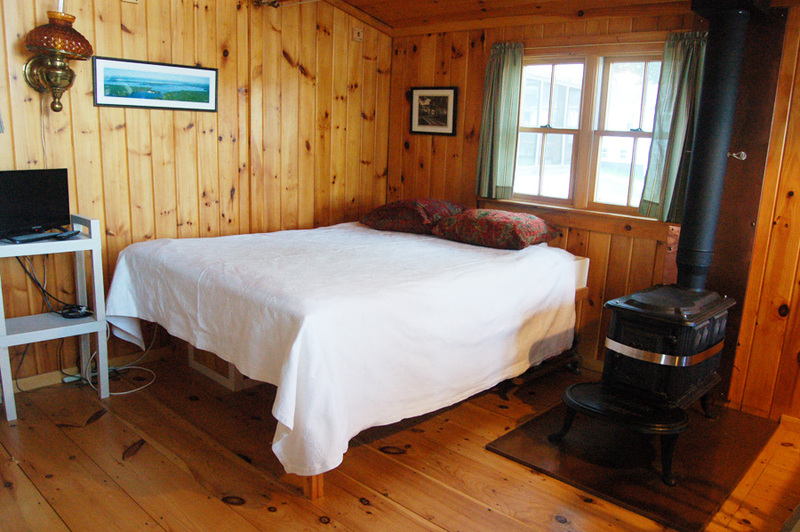 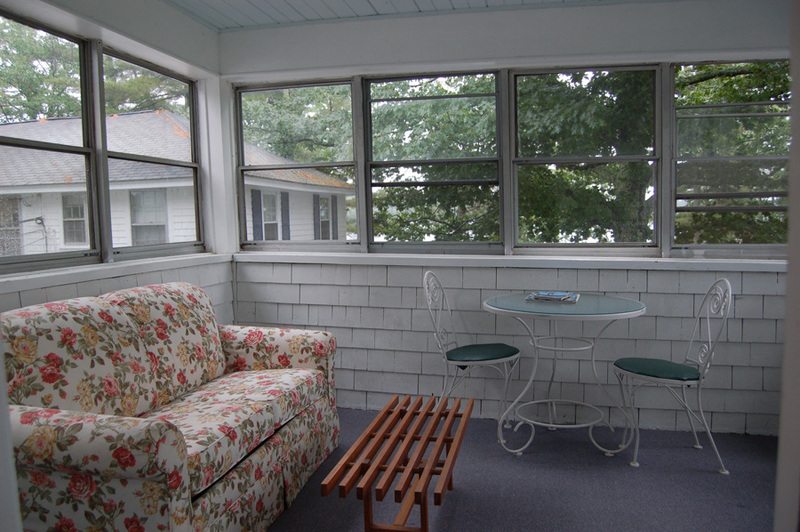 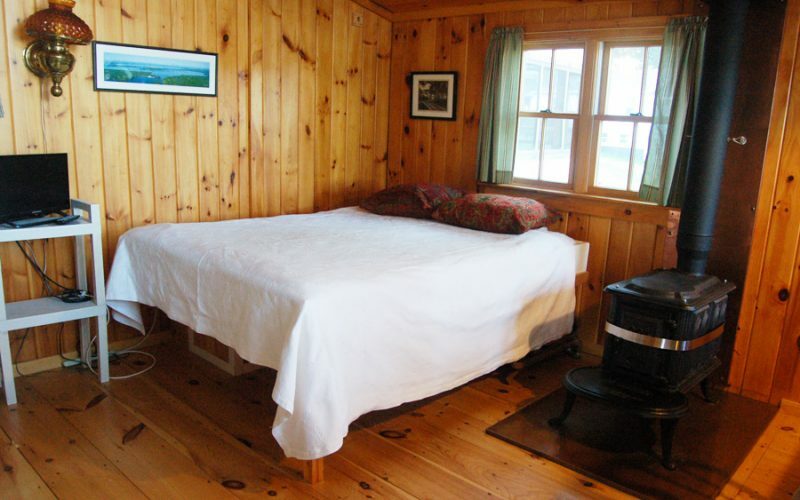 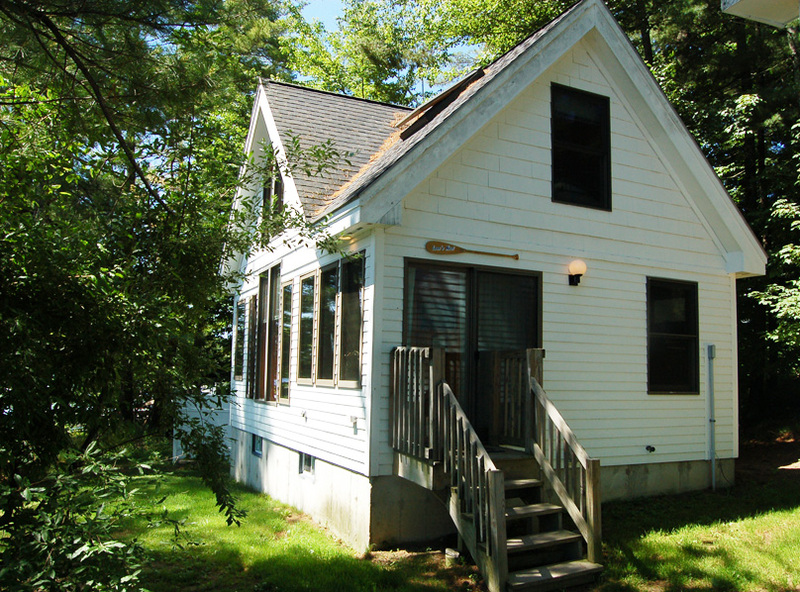 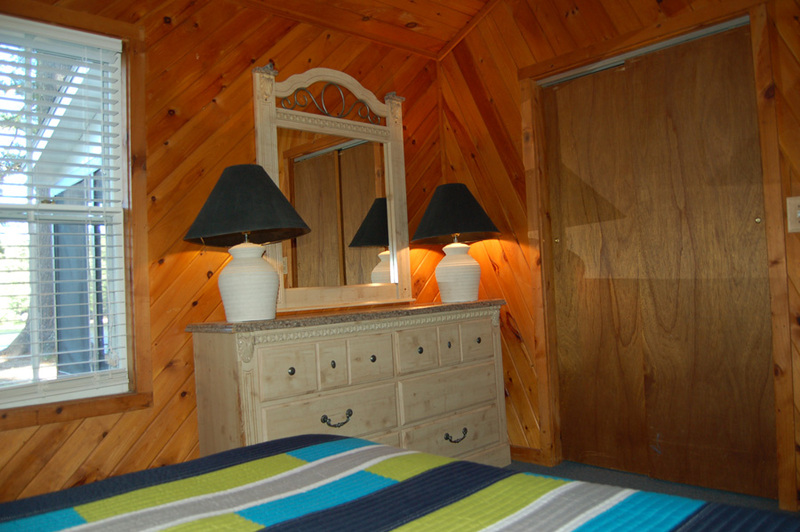 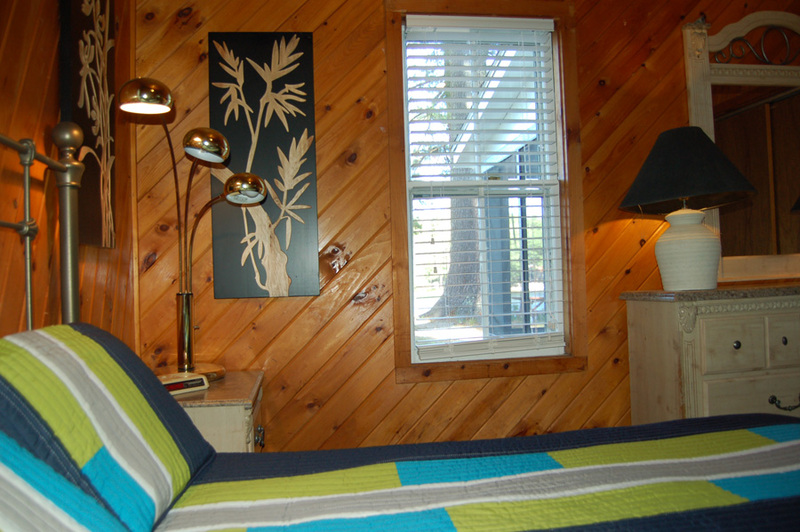 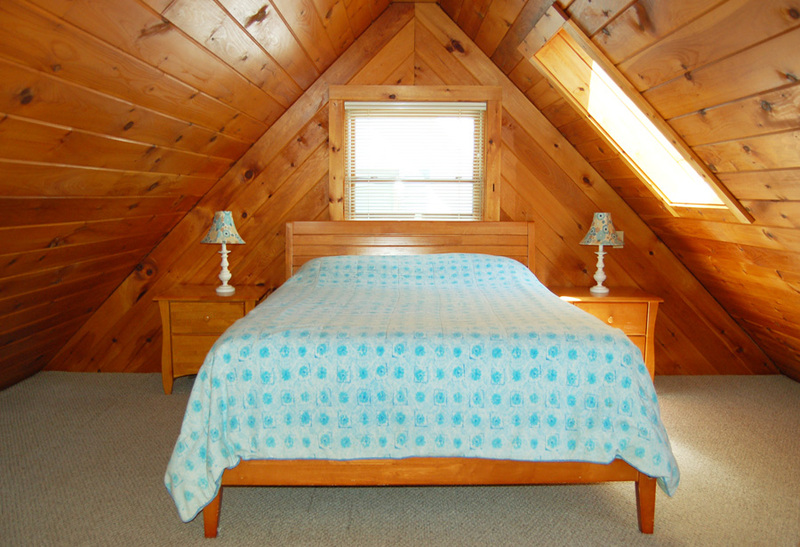 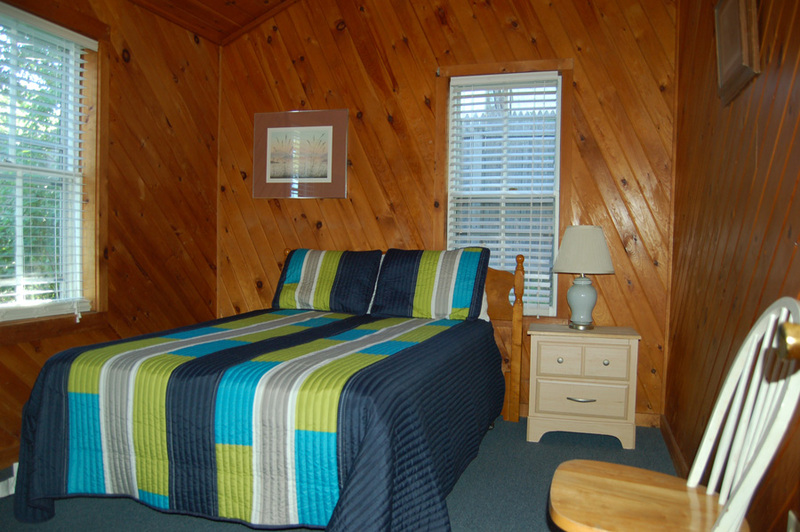 Pines, a 2–bedroom cottage, sleeps 6. 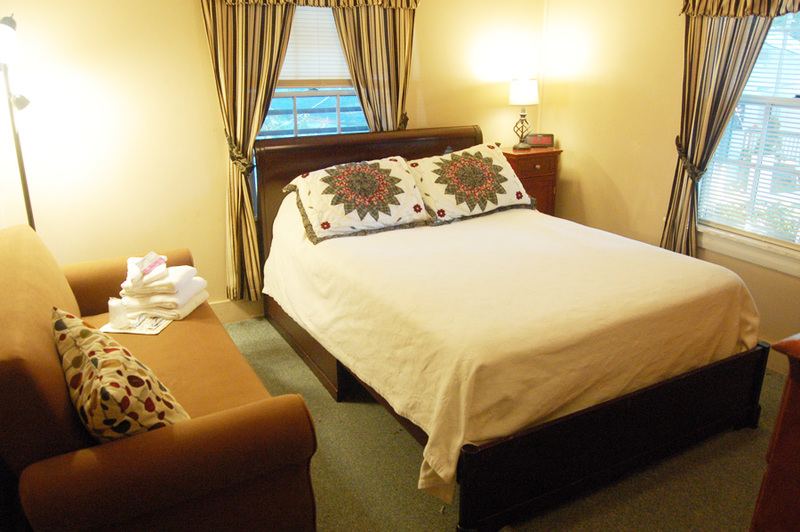 The master bedroom has a queen–sized bed, the second bedroom has a double bed, and the living room has a hideaway sofa. 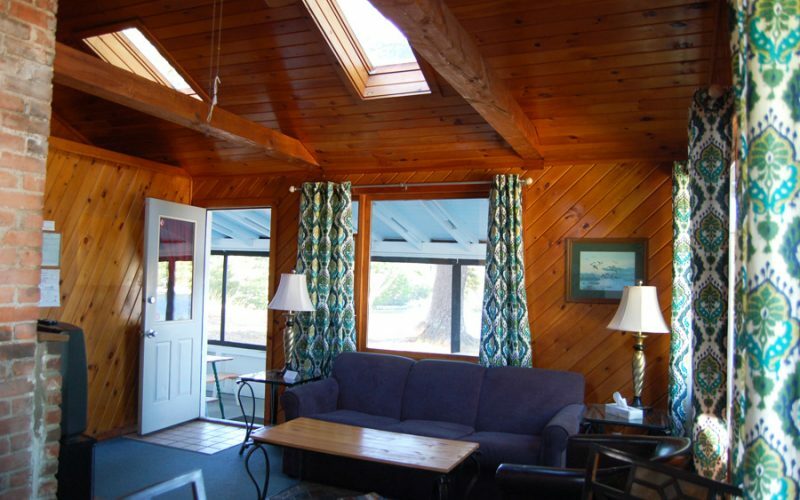 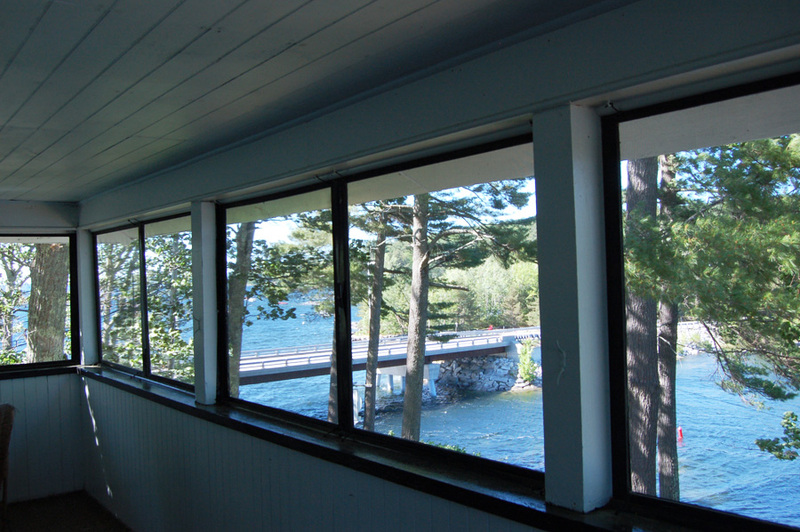 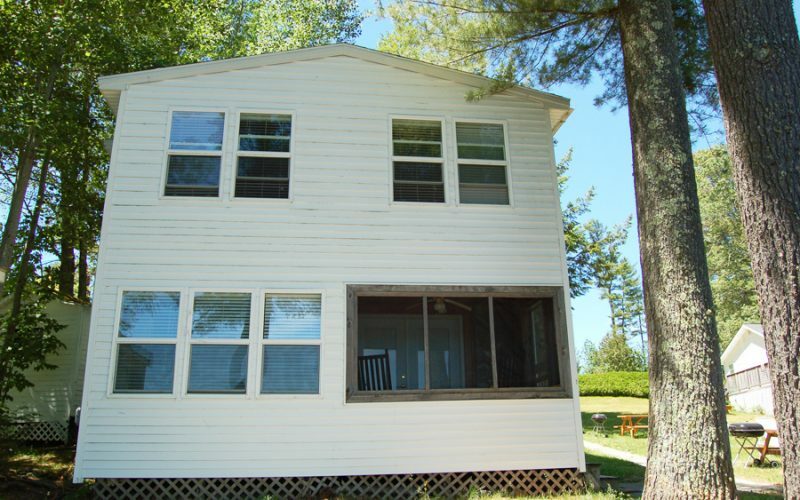 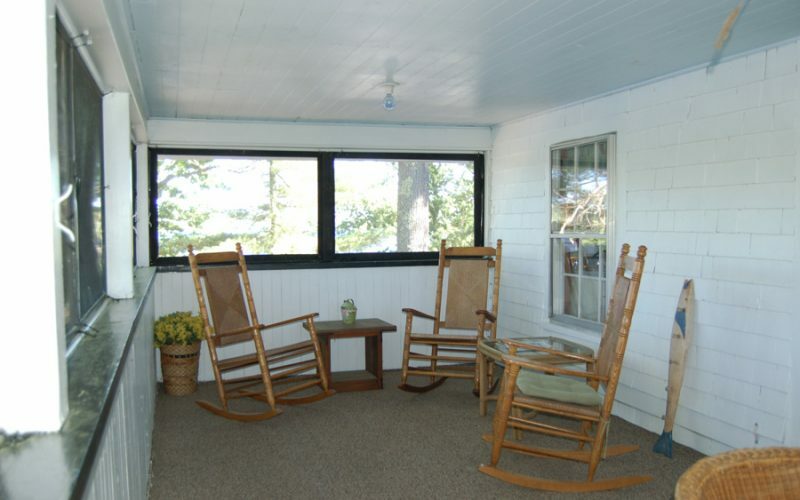 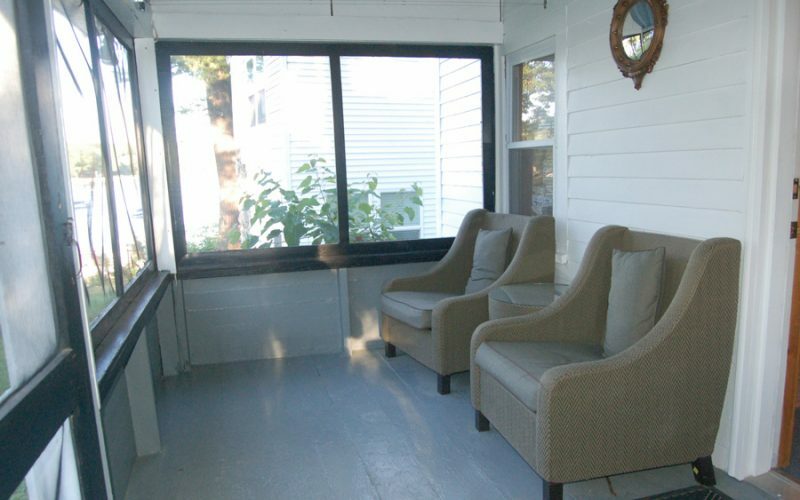 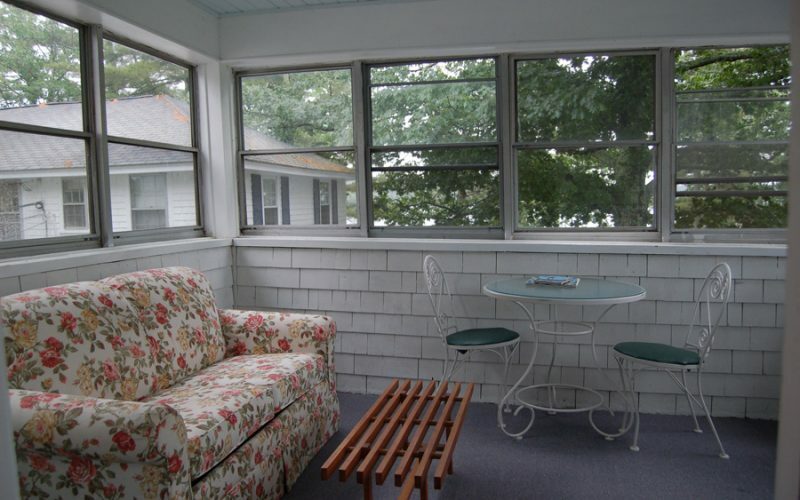 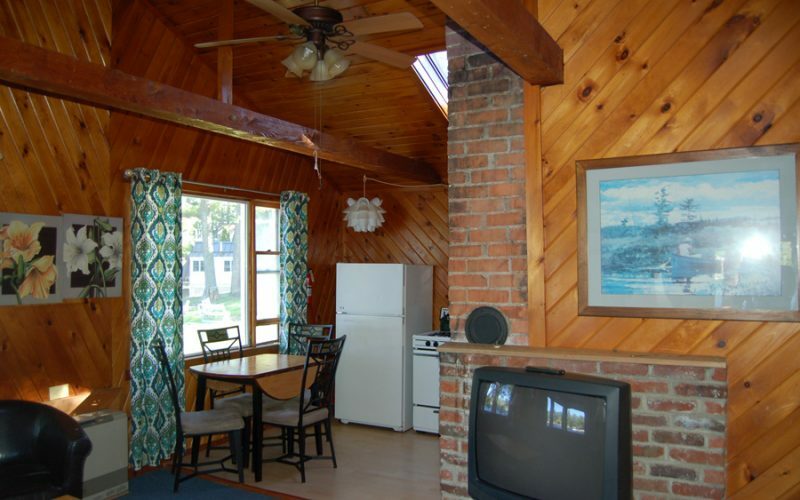 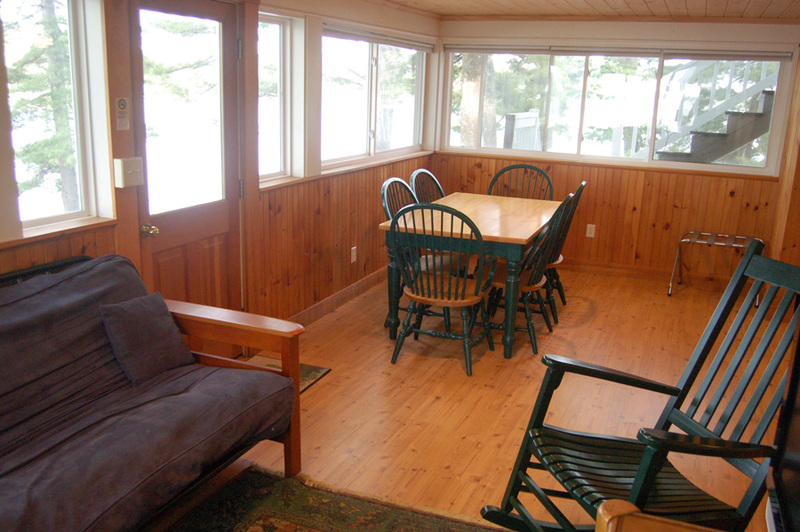 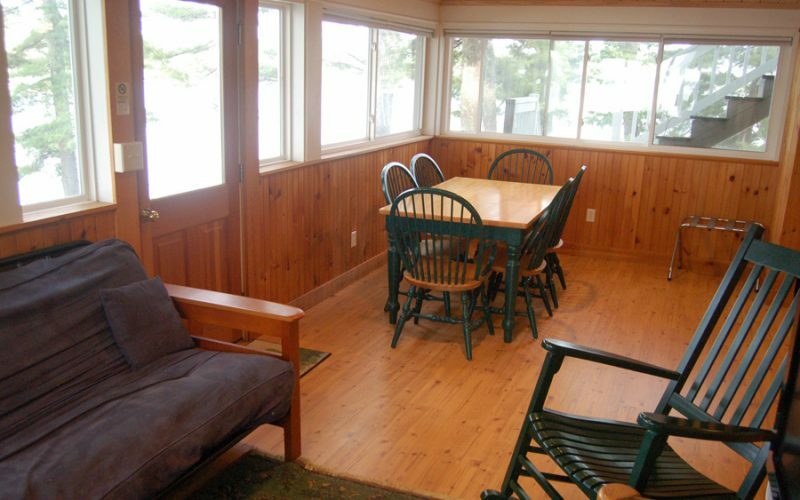 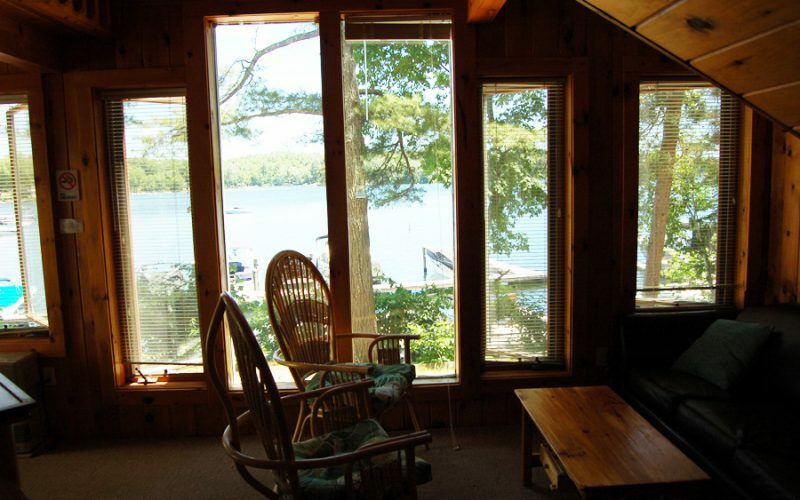 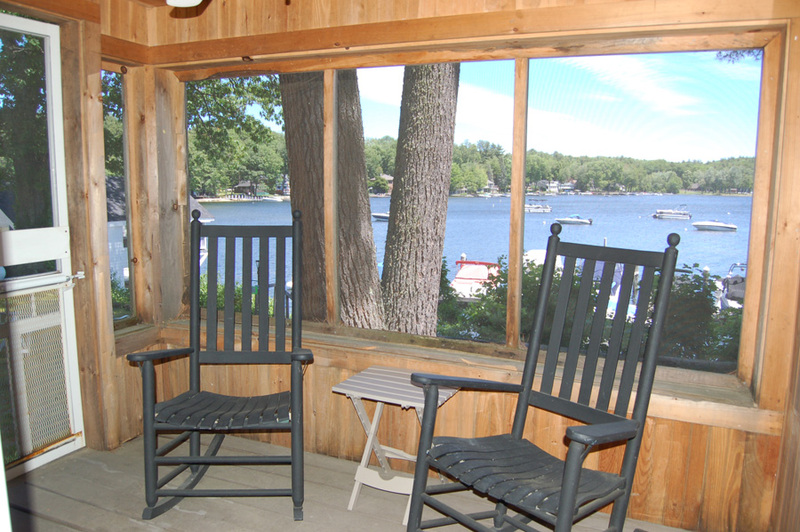 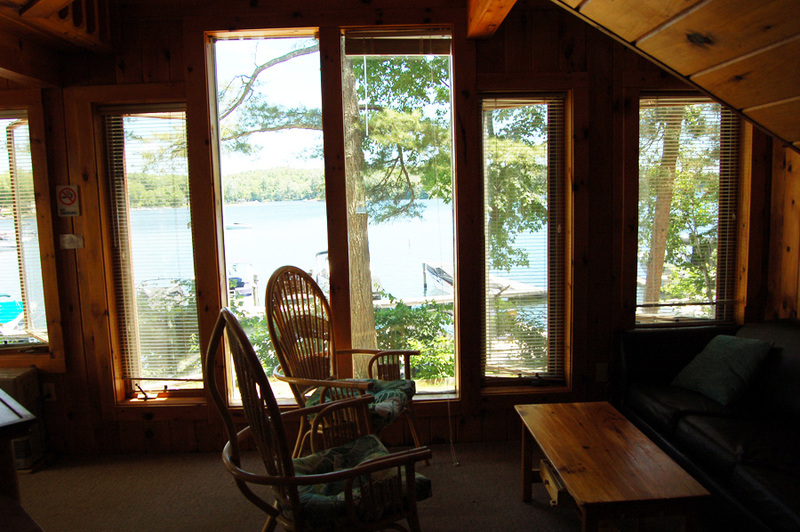 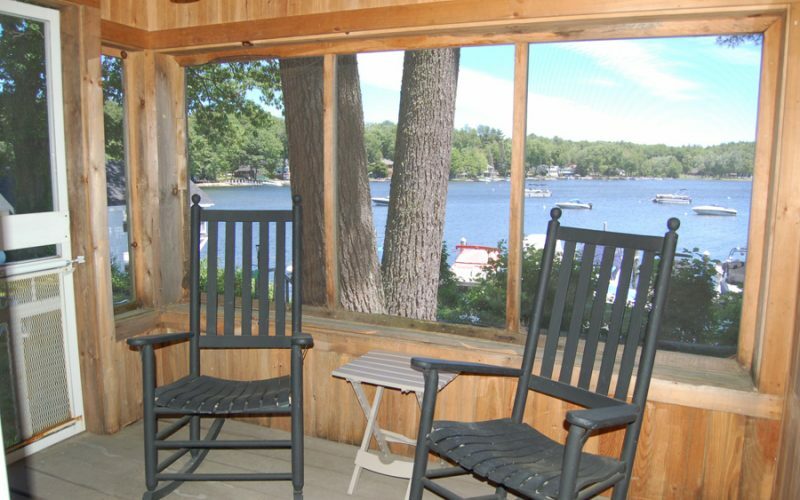 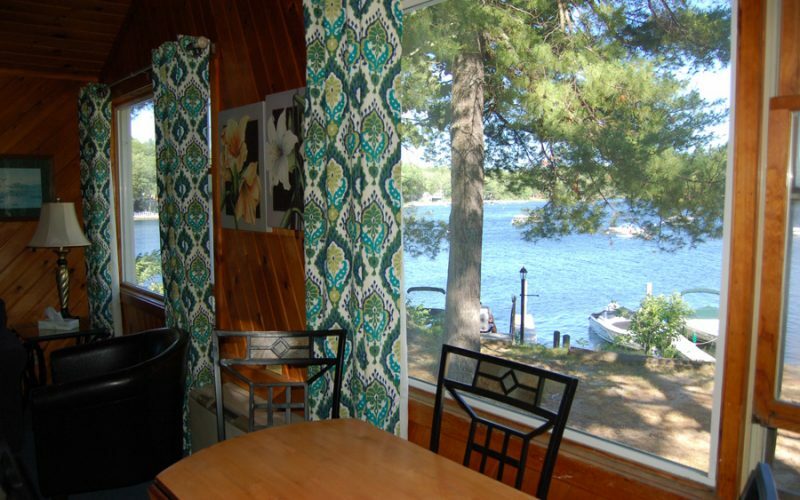 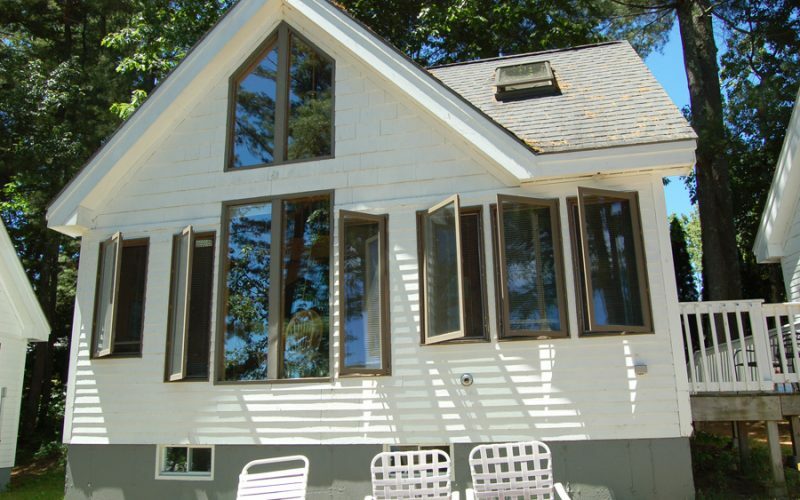 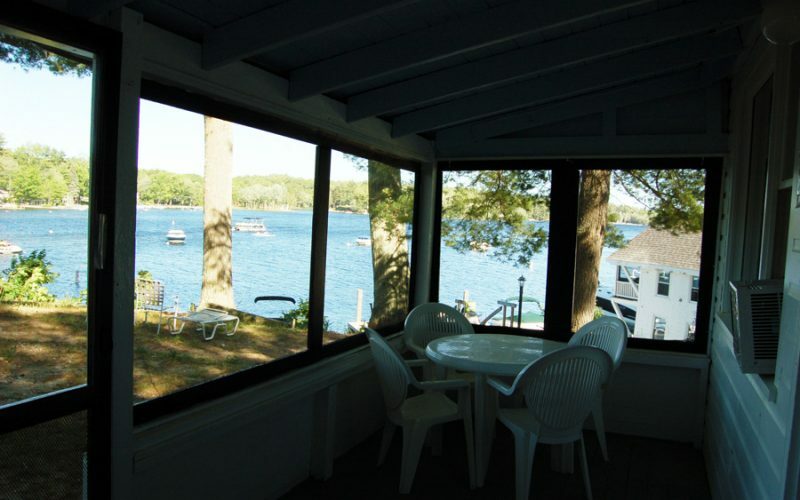 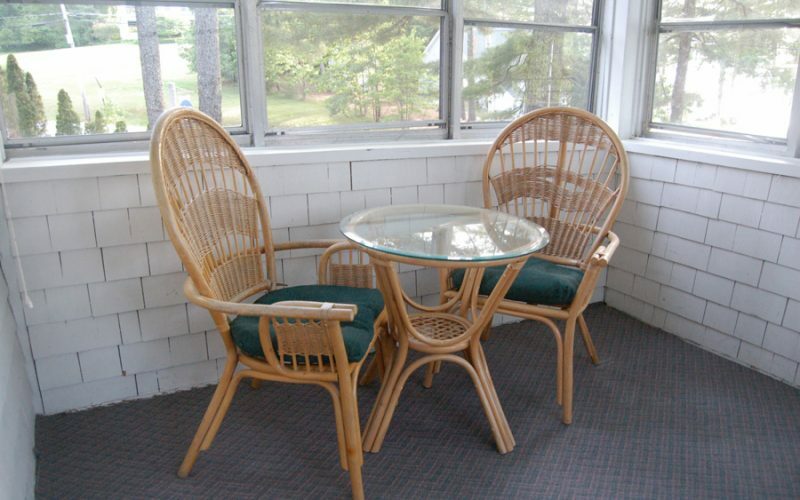 The cottage overlooks the lake and has a screened in porch. 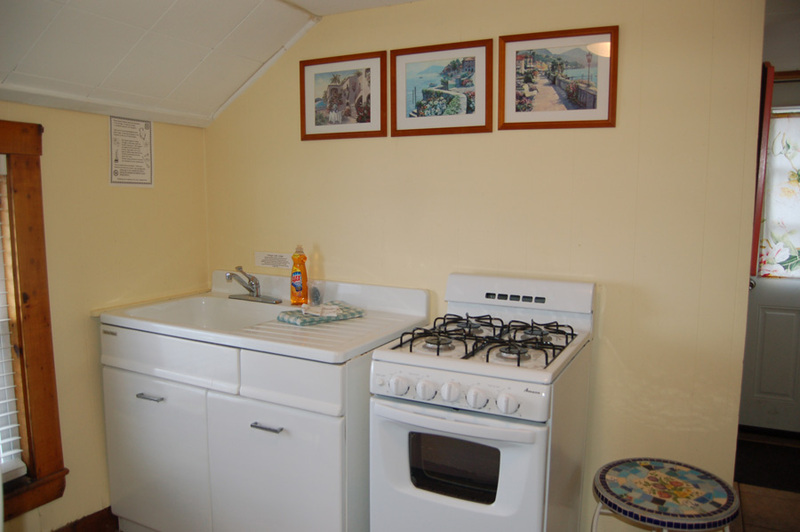 A 2–bedroom cottage, sleeps 5. 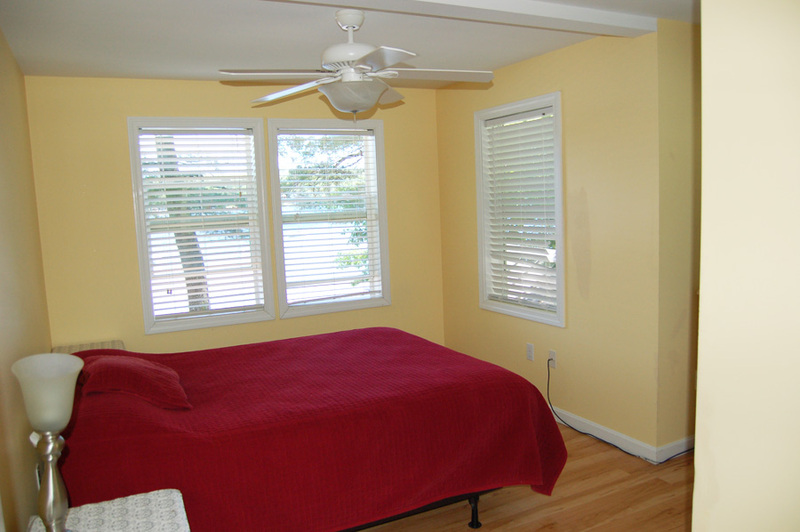 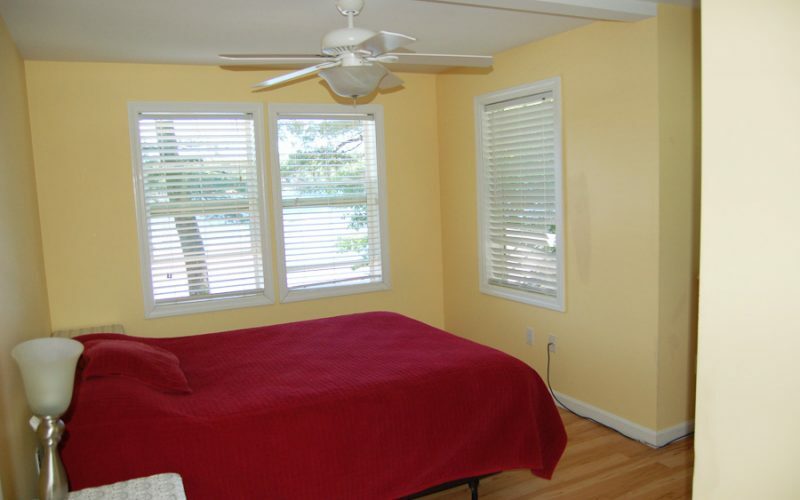 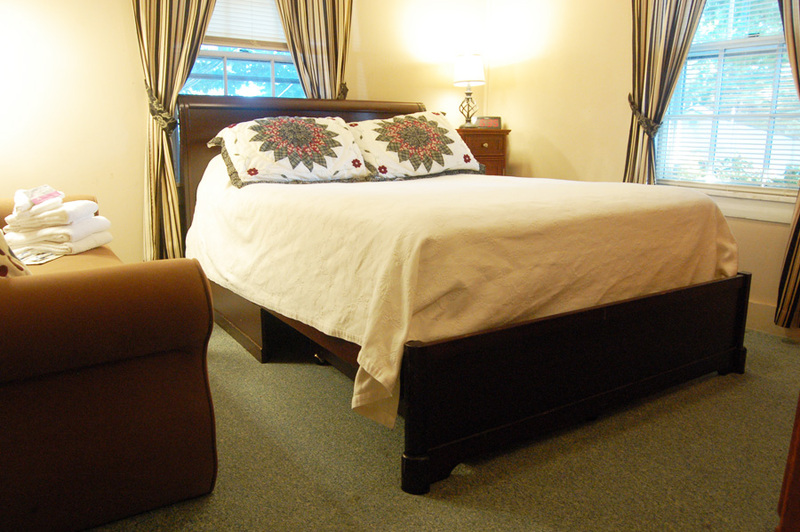 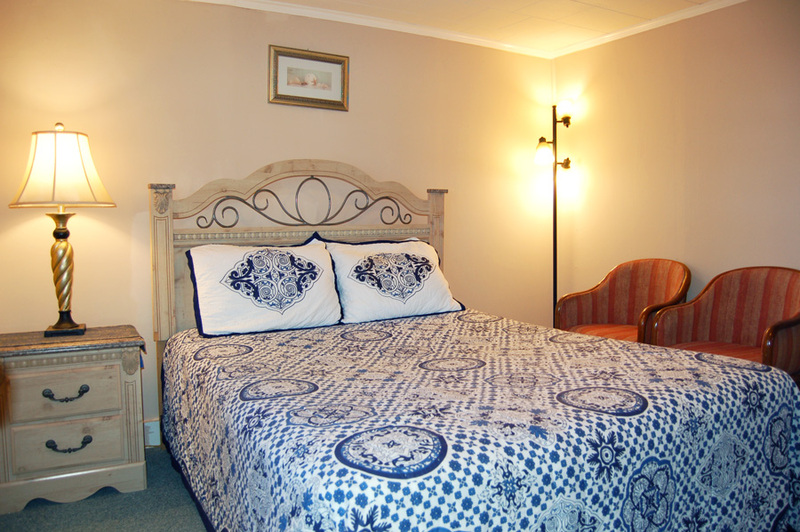 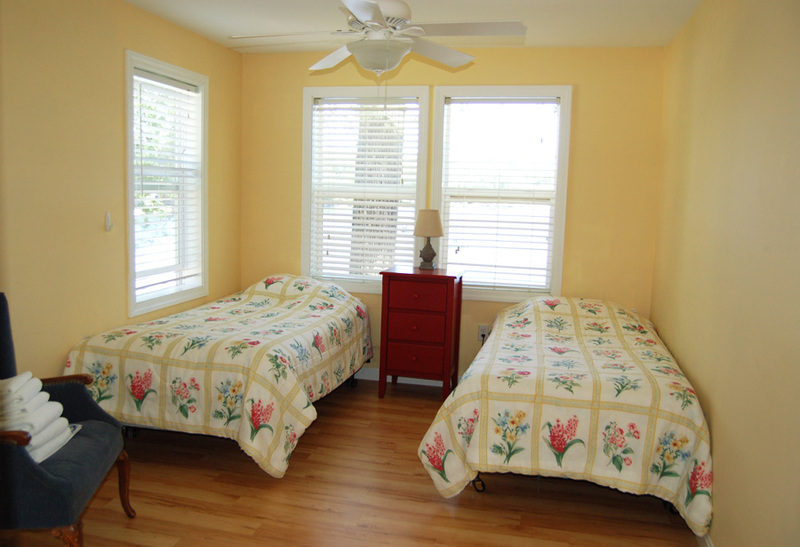 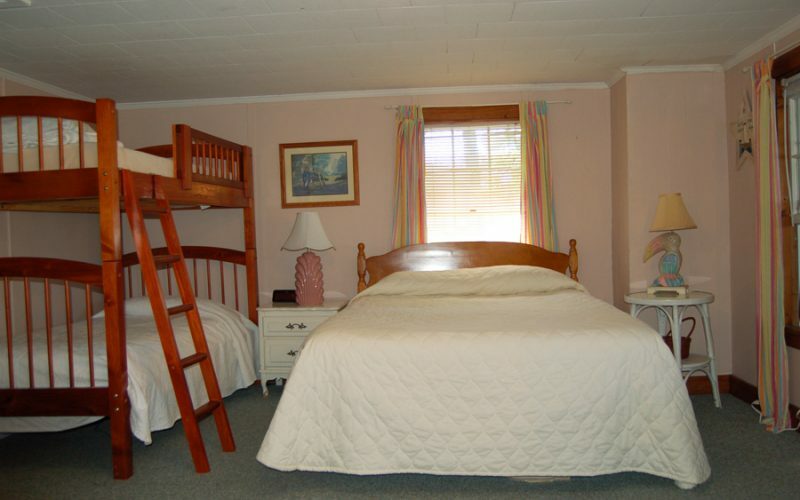 The master bedroom has a queen–sized bed and the second bedroom has three twin beds. 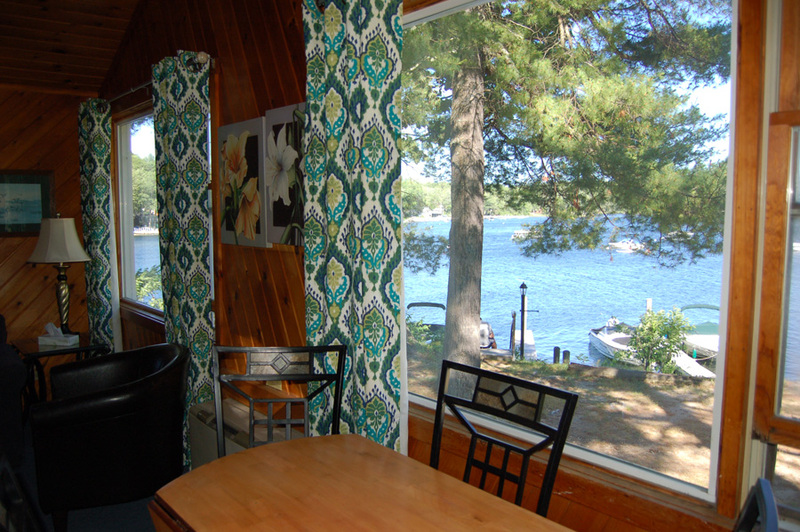 The cottage overlooks the lake and has a screened in porch. 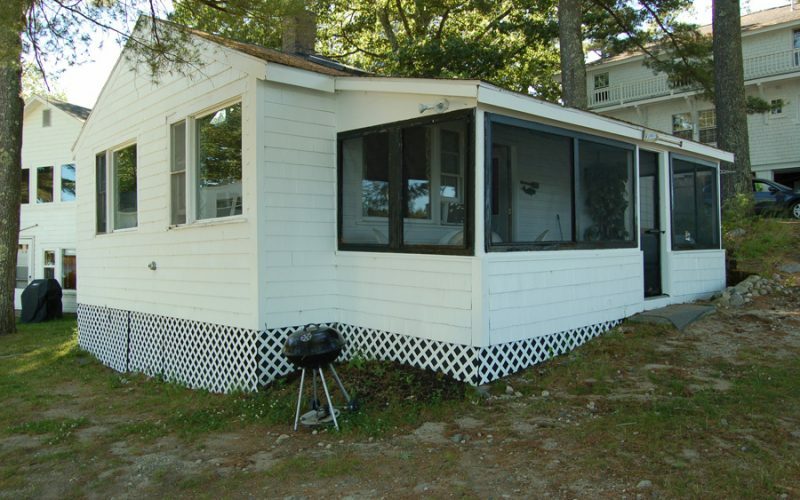 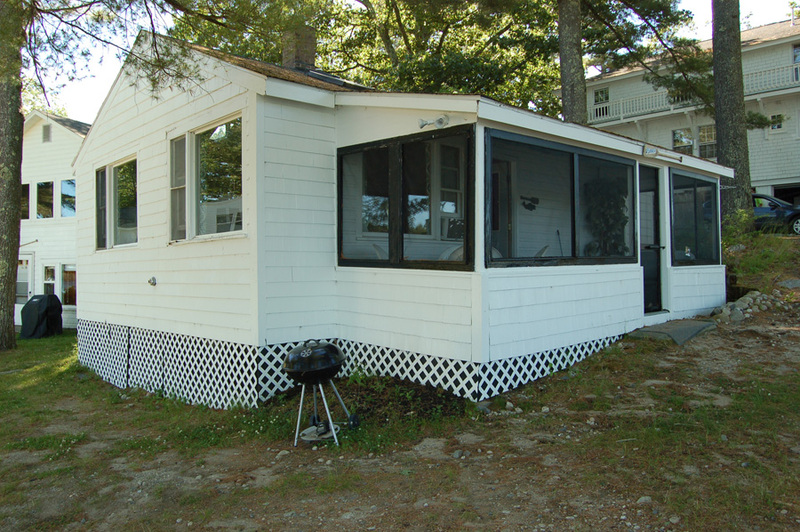 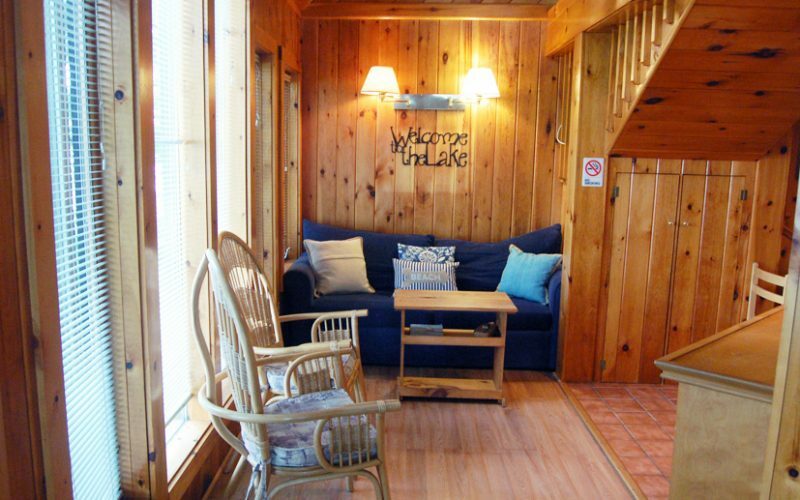 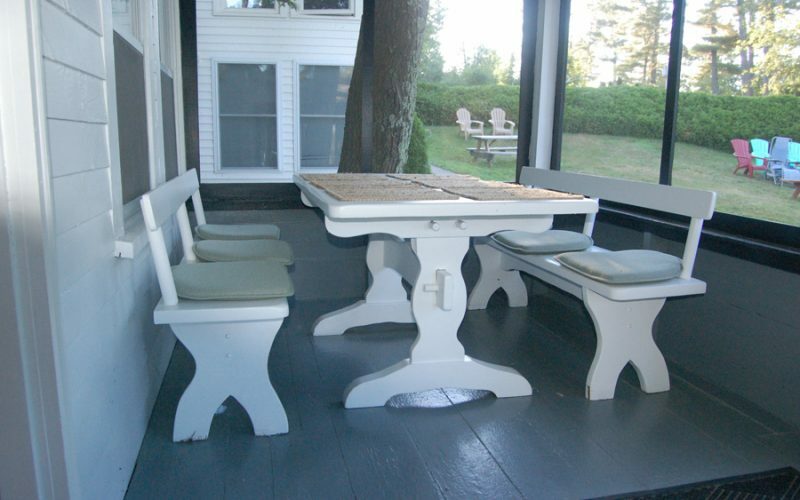 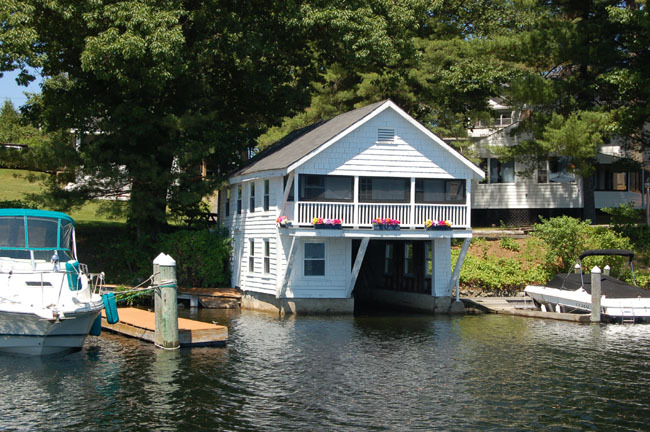 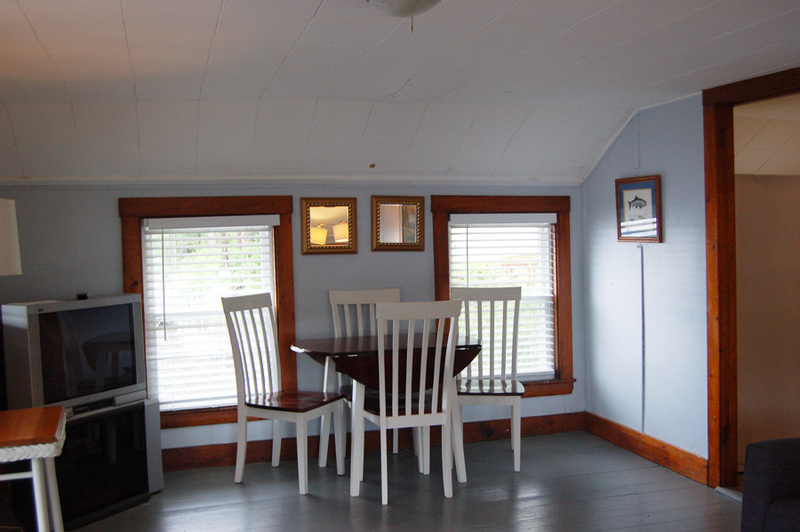 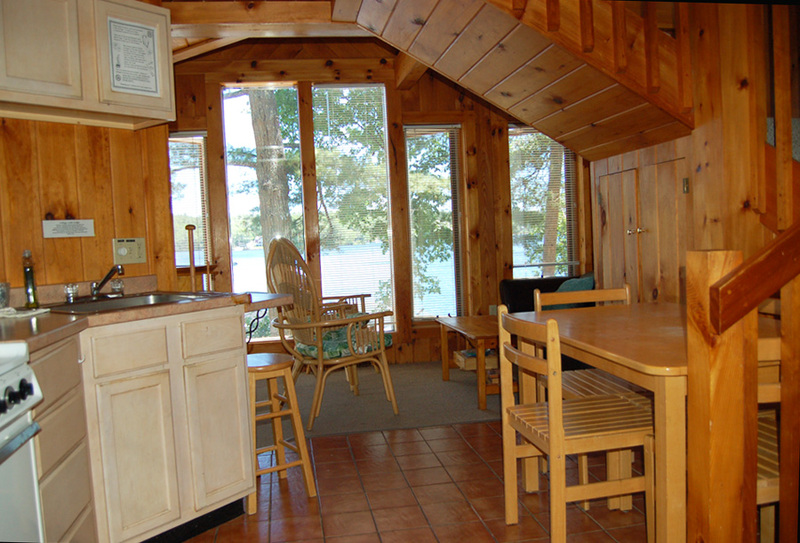 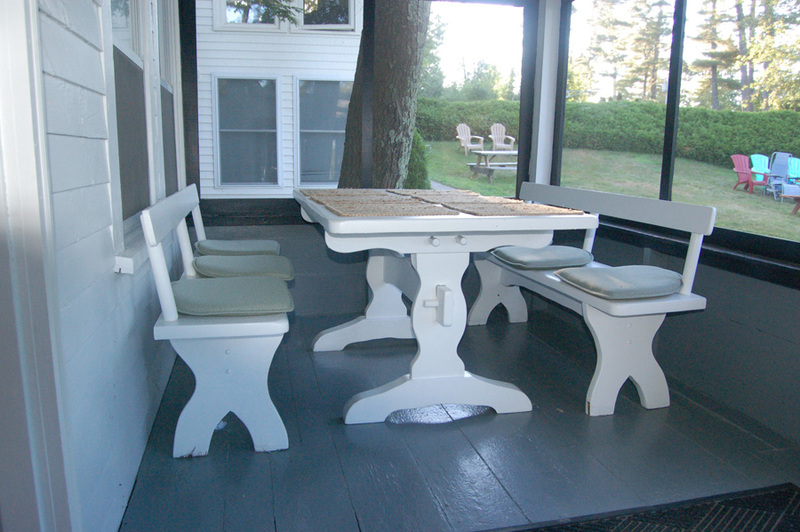 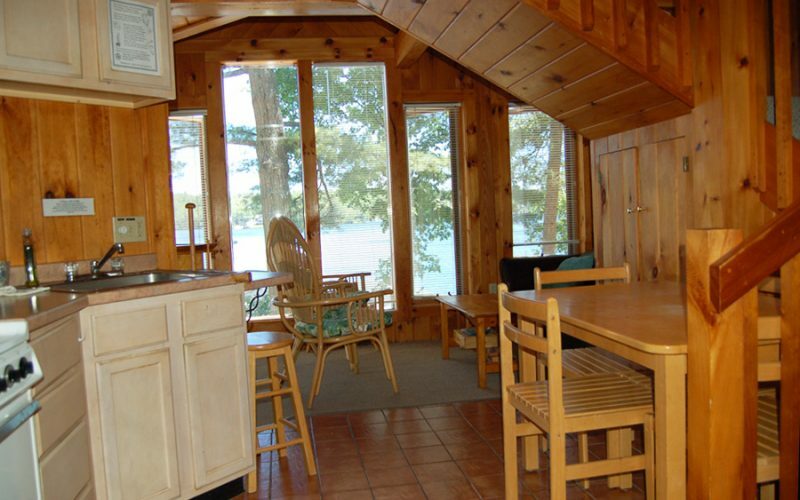 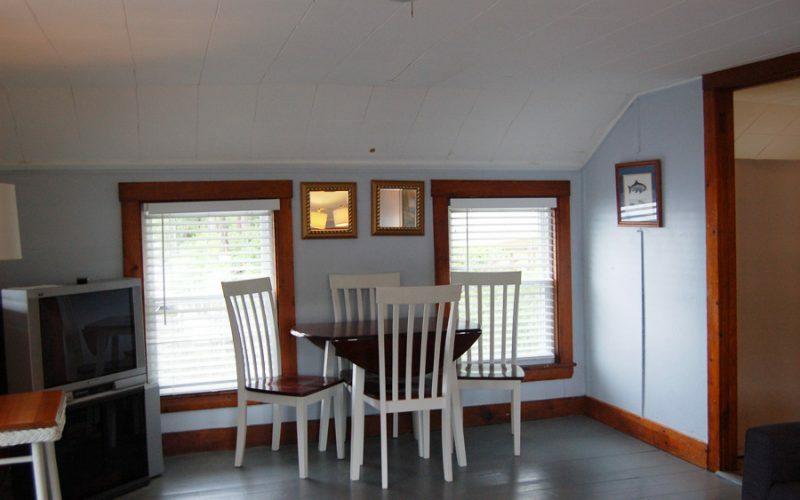 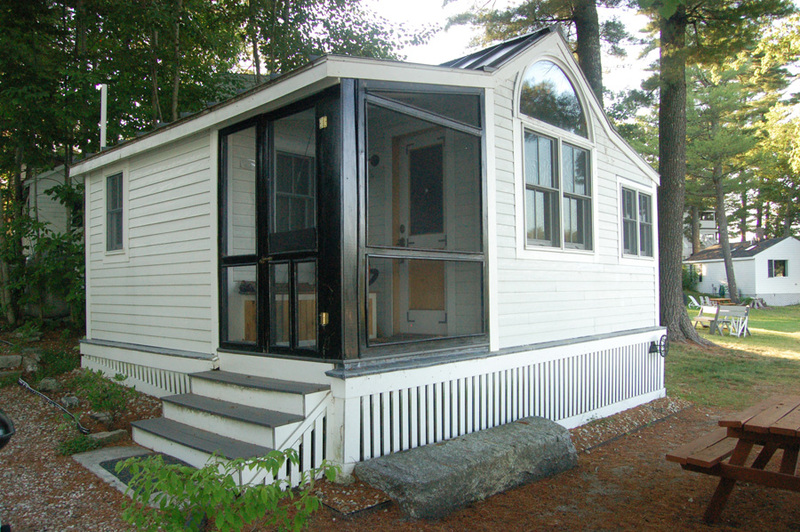 Boathouse is a one–bedroom cottage with a screened–in porch that extends out over the water. 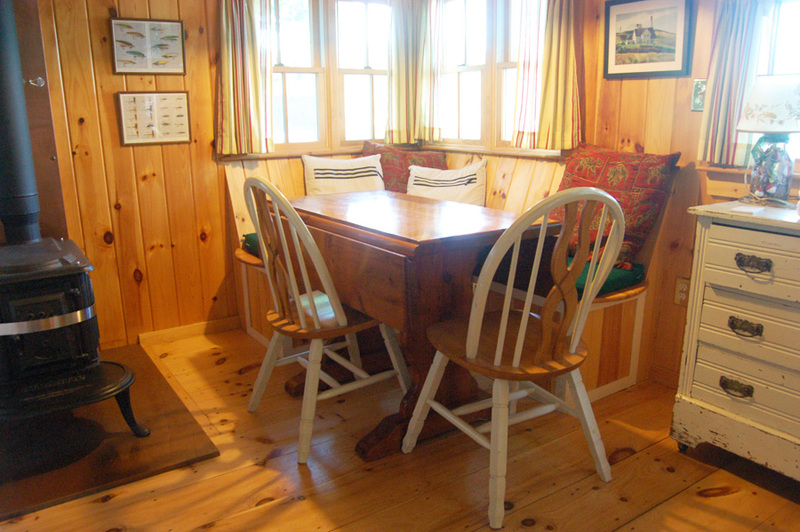 The cottage sleeps four, with a double bed in the bedroom and a Memory-Foam hide-away sofa in the living room. 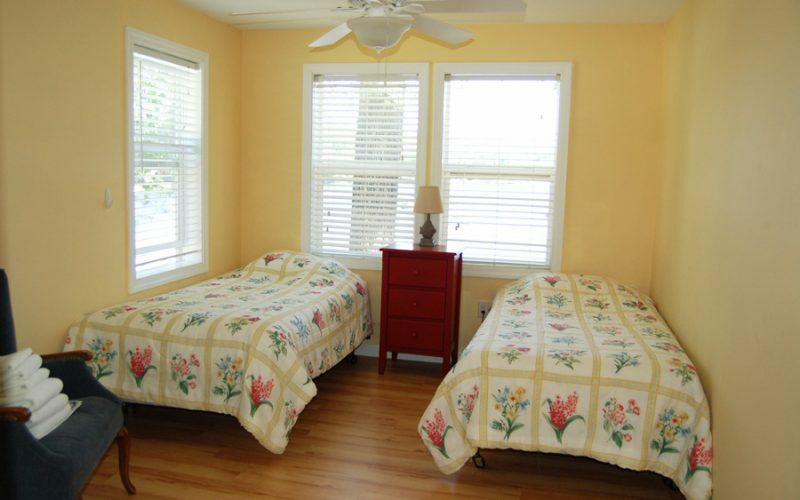 Rooms 1B & 1C can be rented together or separately. 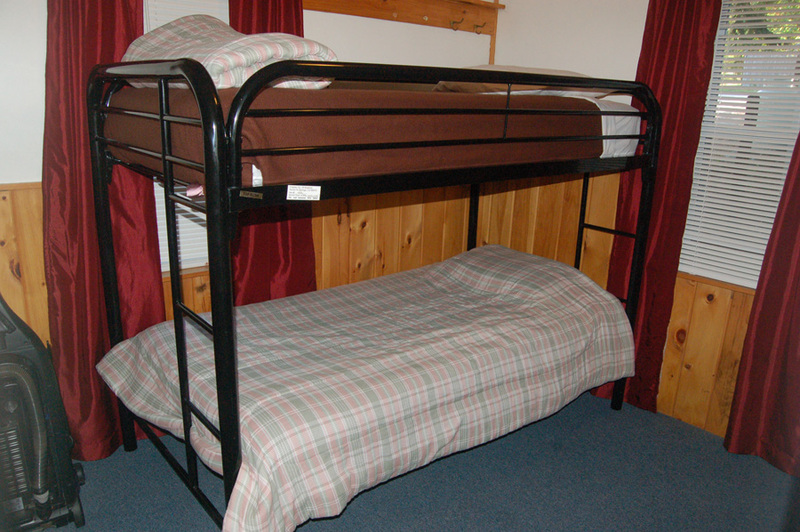 Room 1B has a queen-sized bed and Room 1C has a full-sized bed. 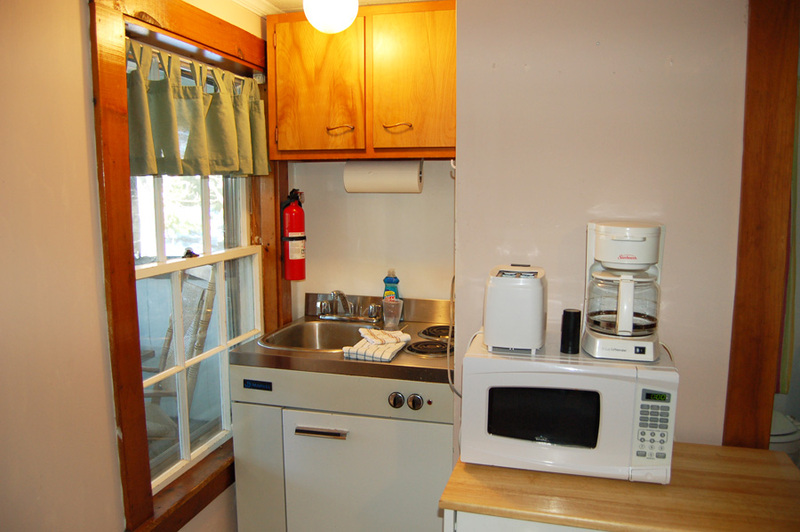 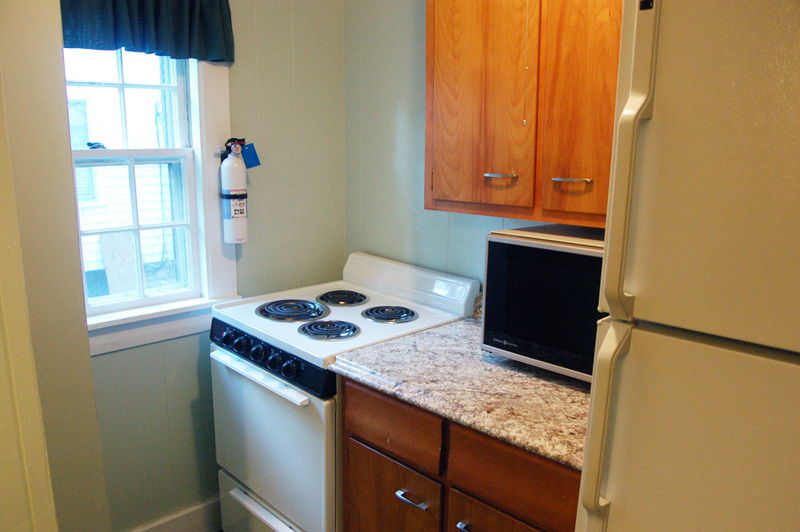 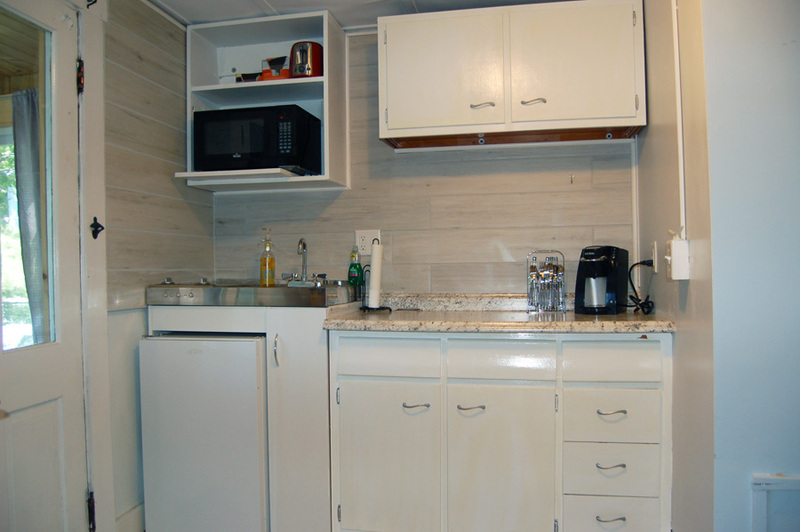 Rooms 1B & 1C share a full kitchen and bathroom. 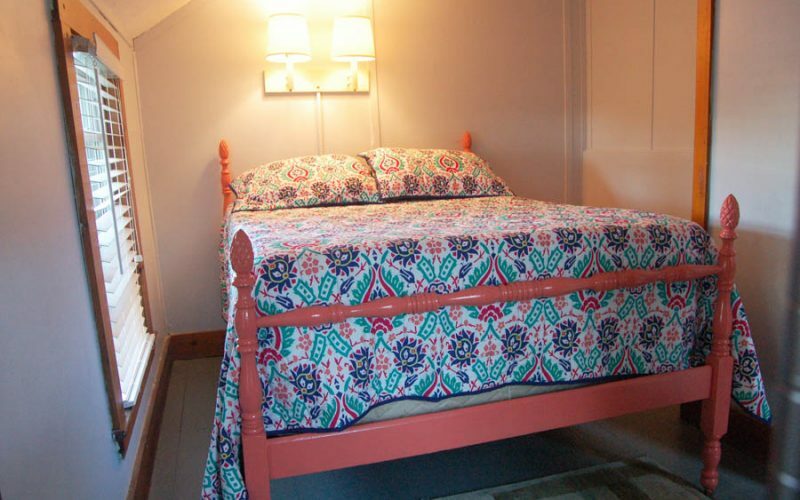 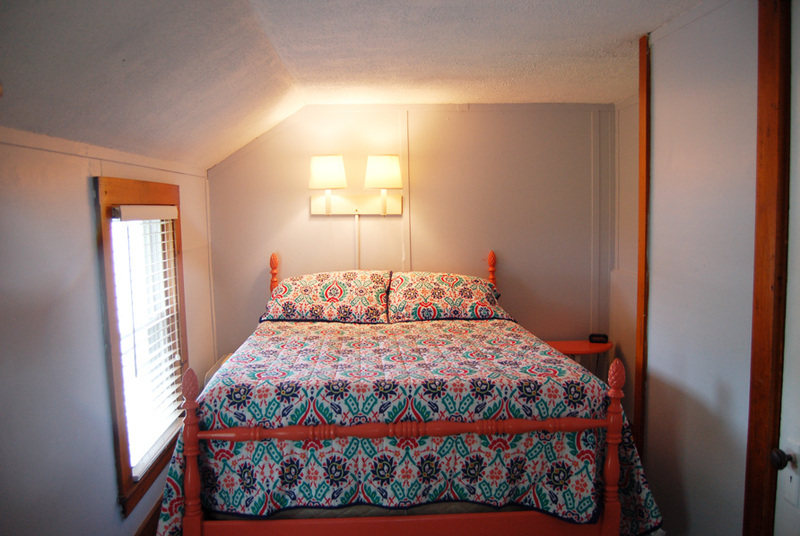 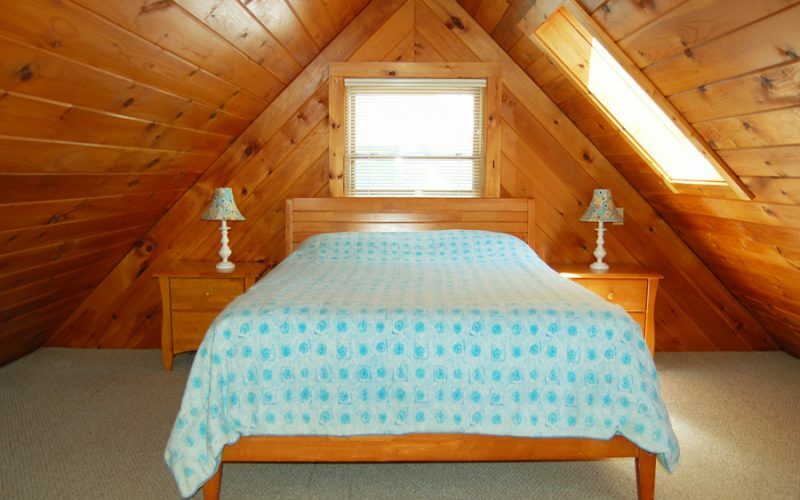 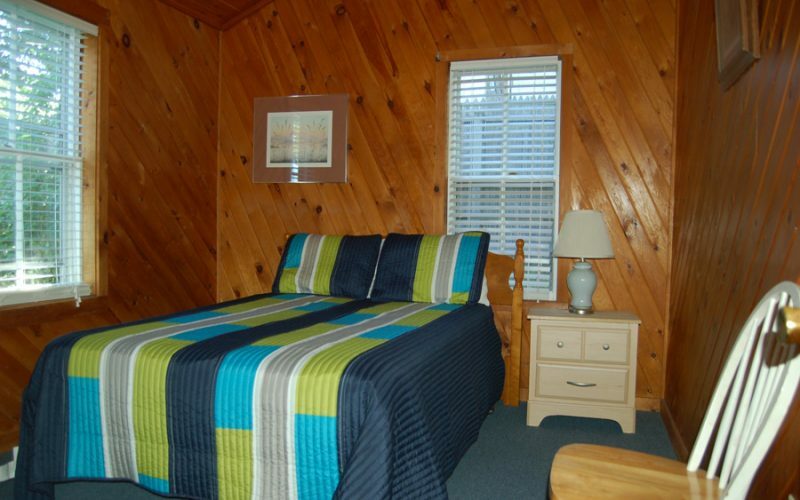 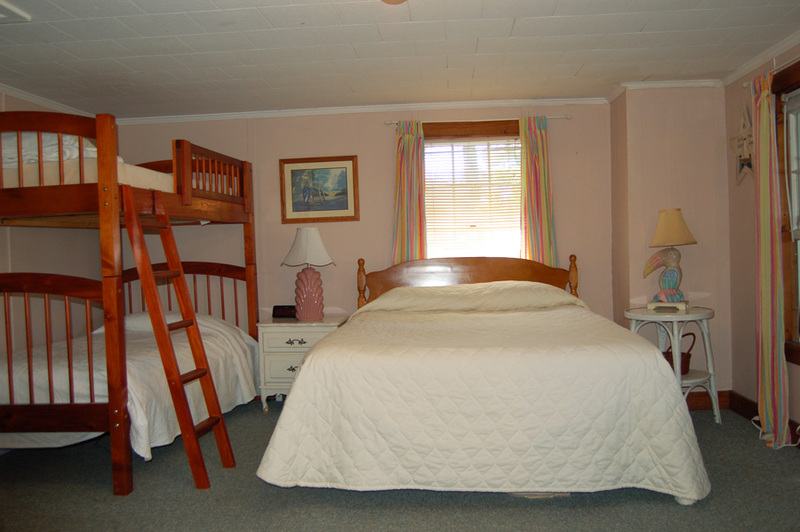 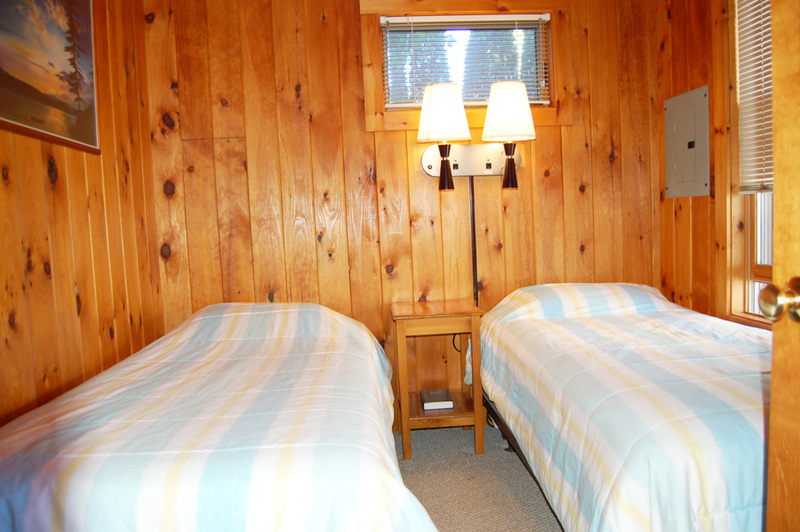 Room 2A, located in the guest house, sleeps 4 with one queen bed and twin bunk beds. 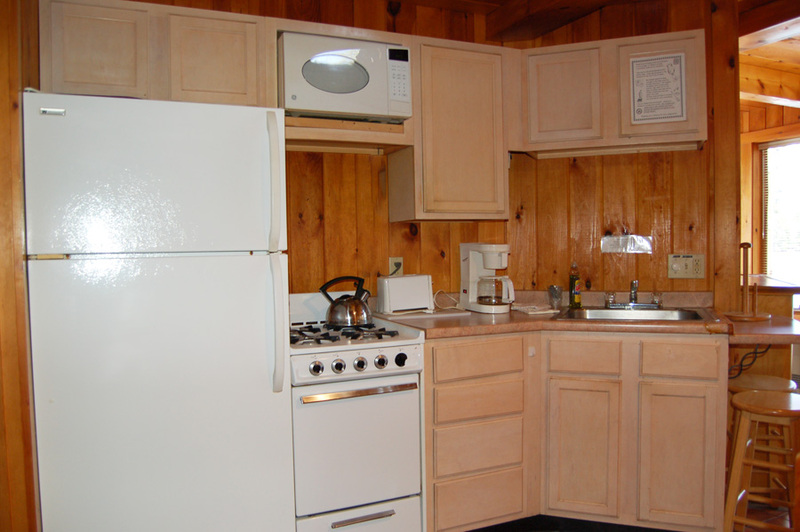 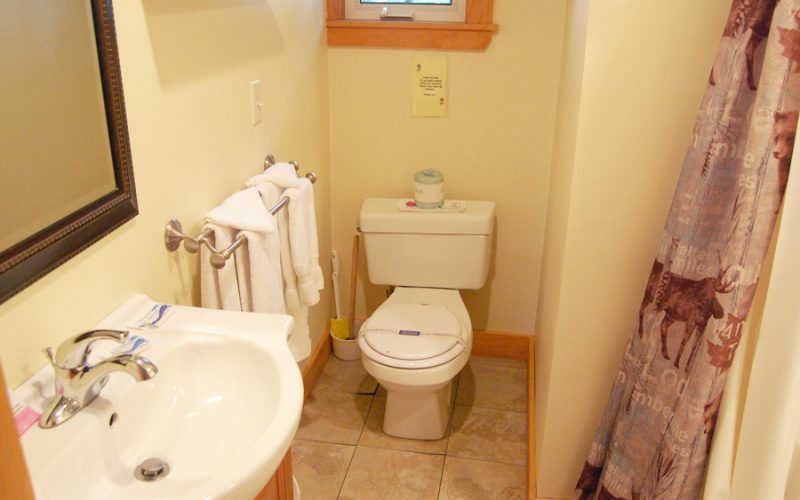 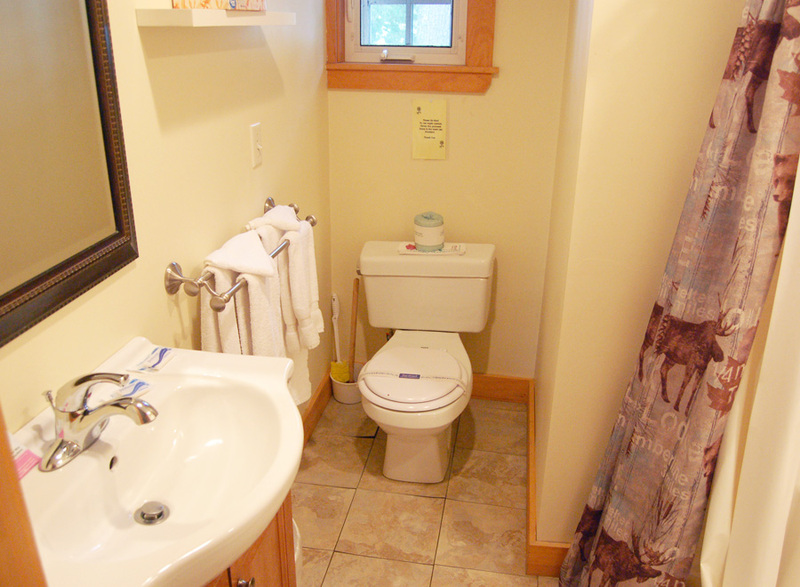 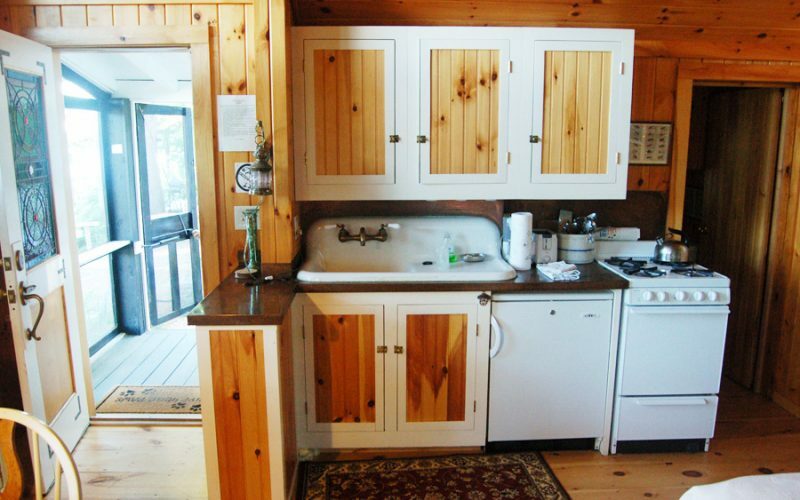 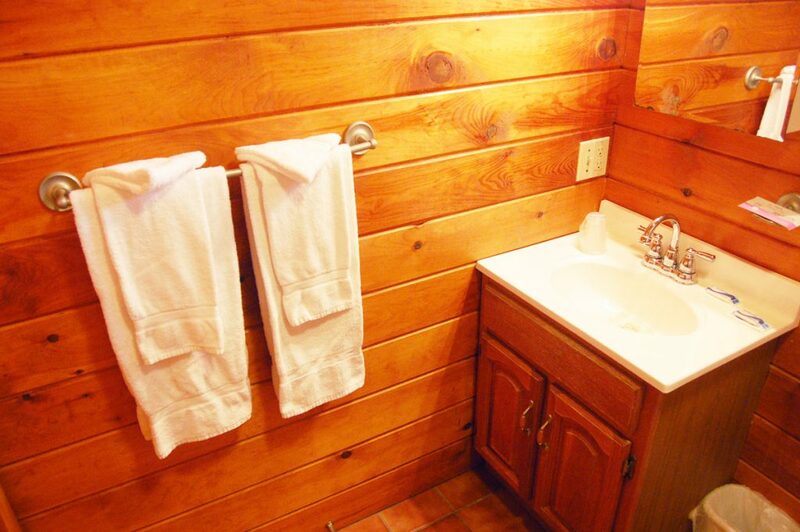 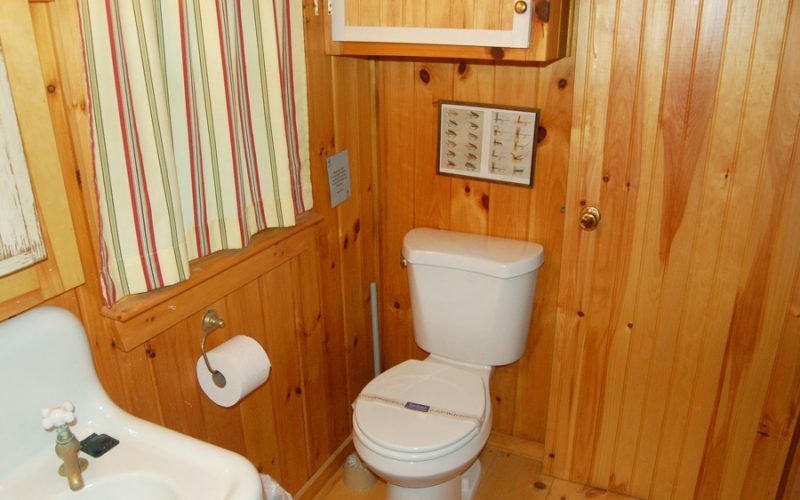 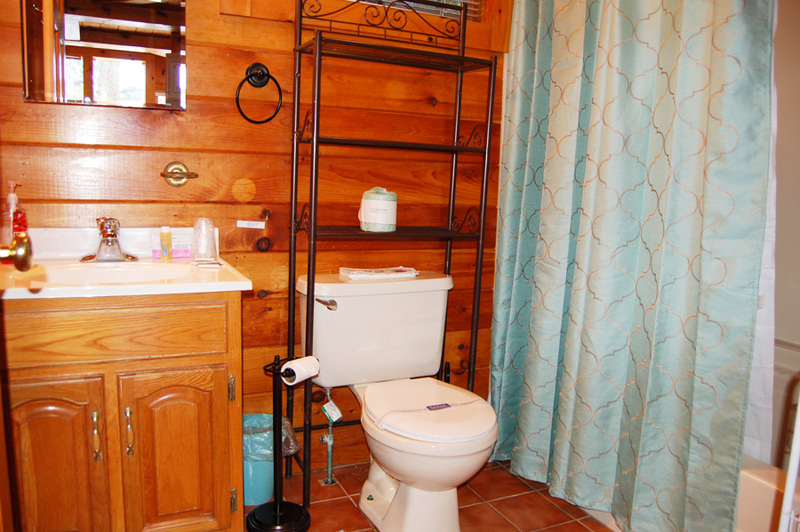 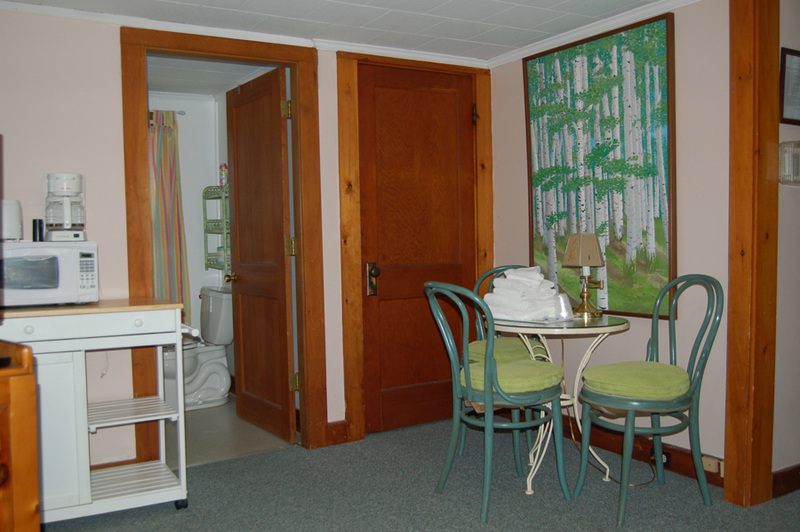 The room has an en suite bathroom and kitchenette, along with a screened–in porch that overlooks the lake. 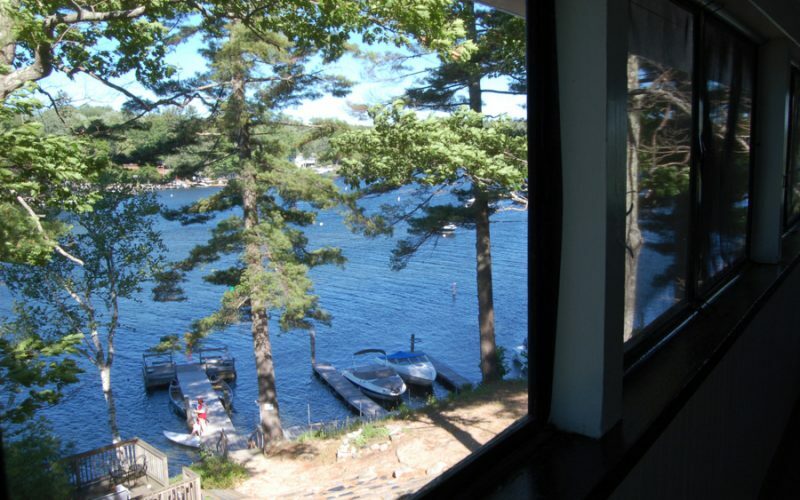 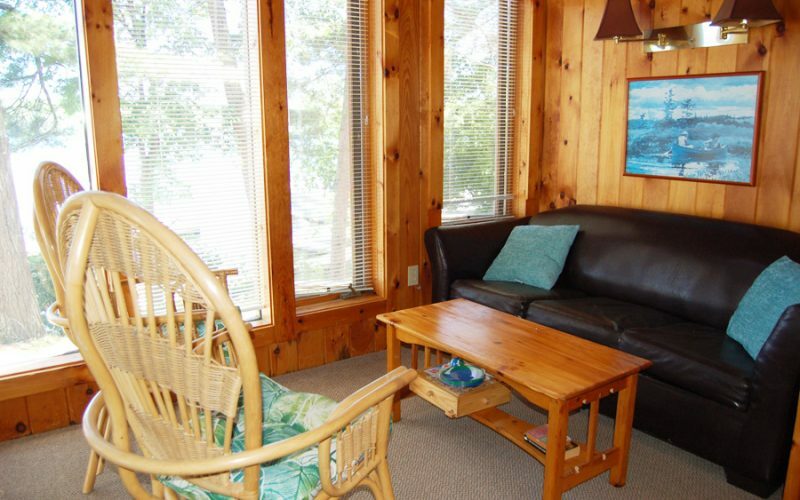 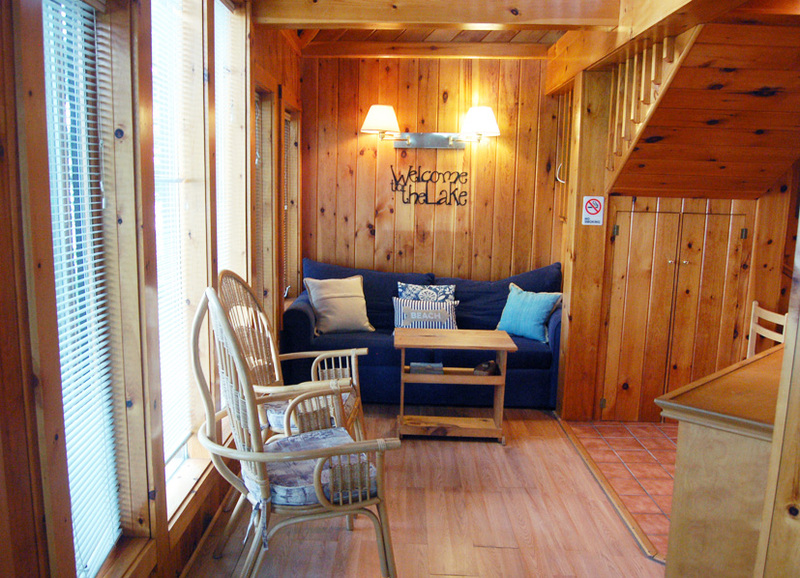 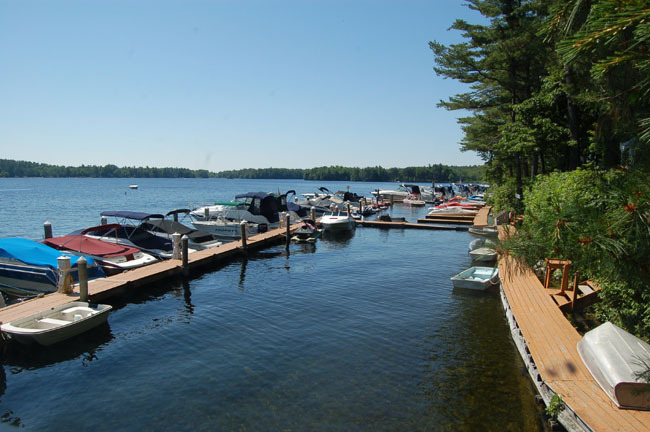 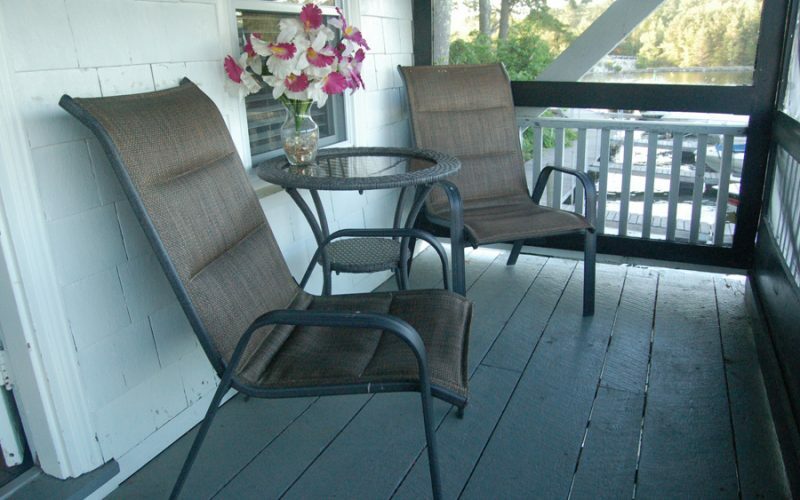 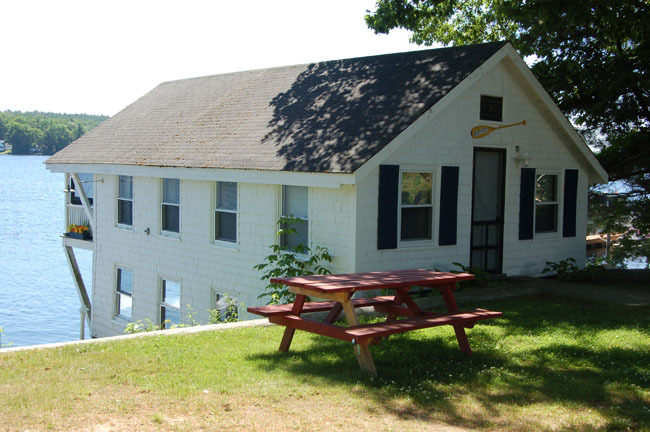 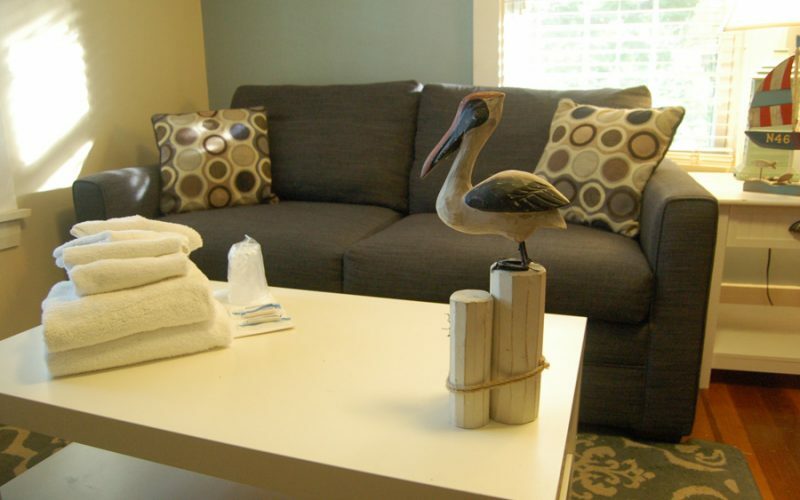 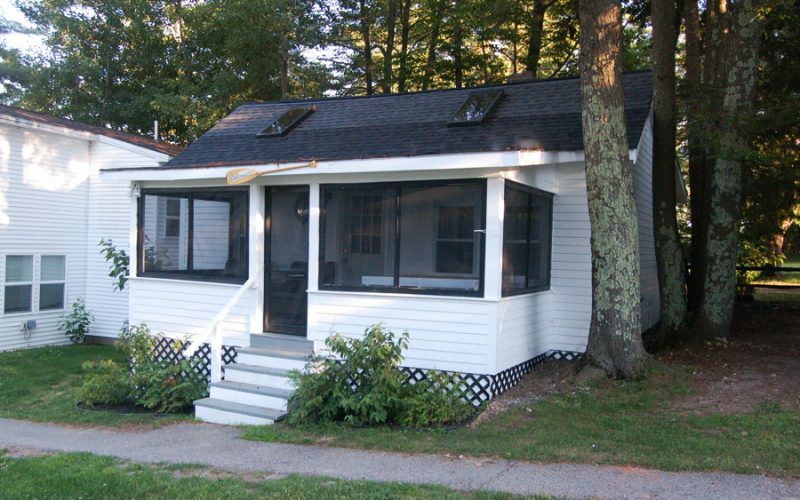 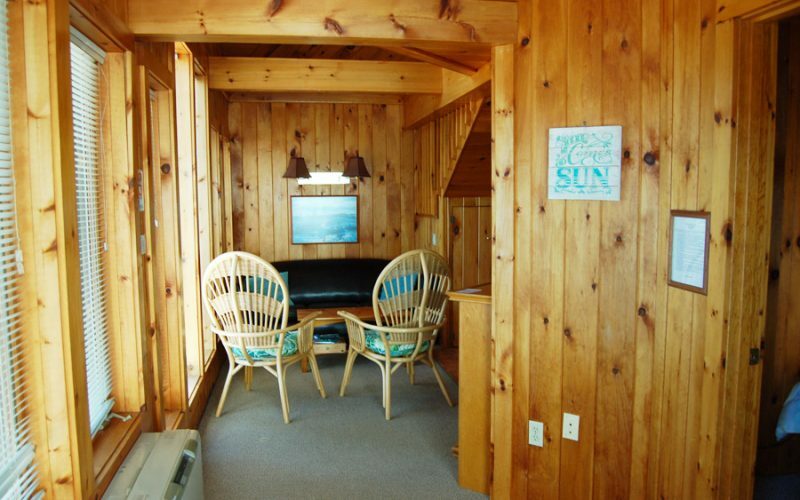 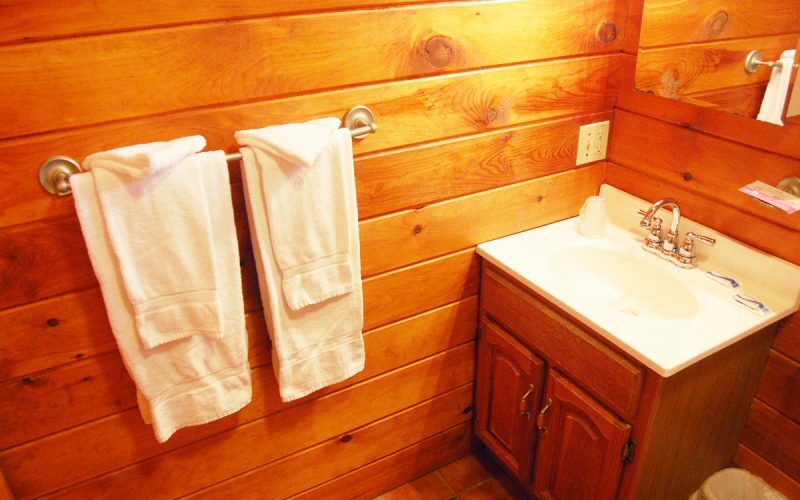 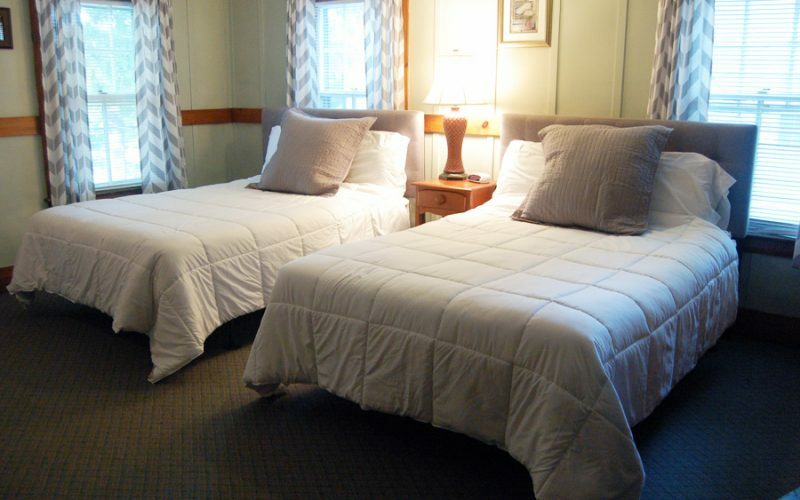 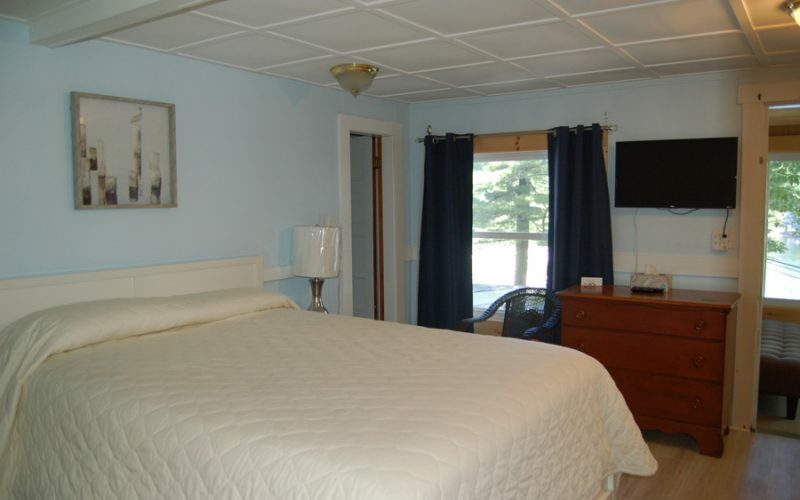 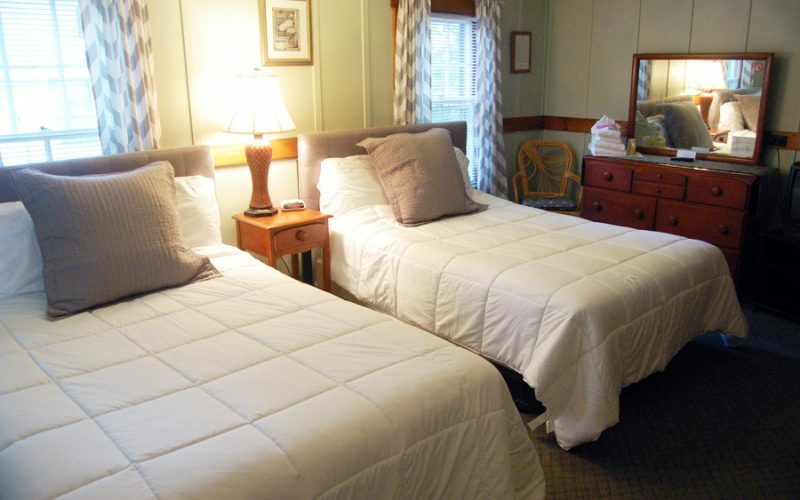 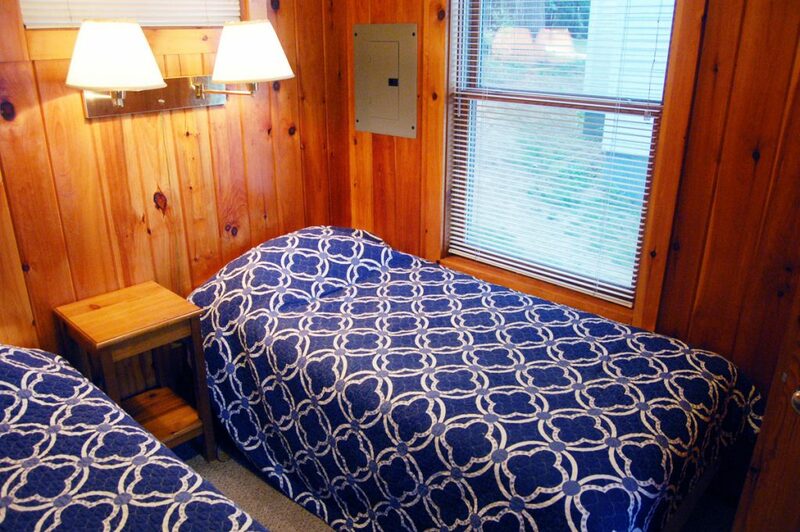 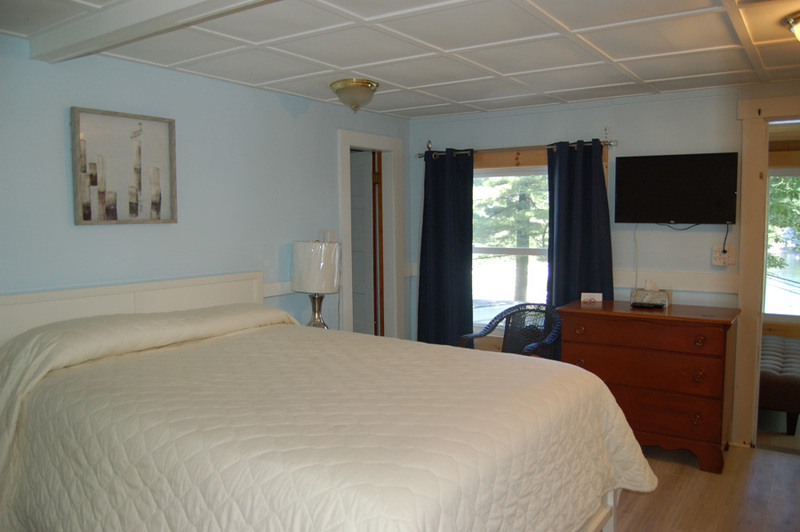 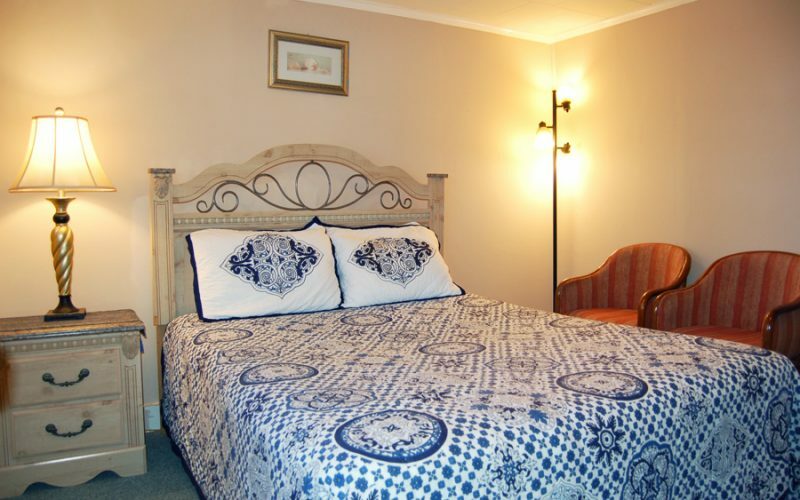 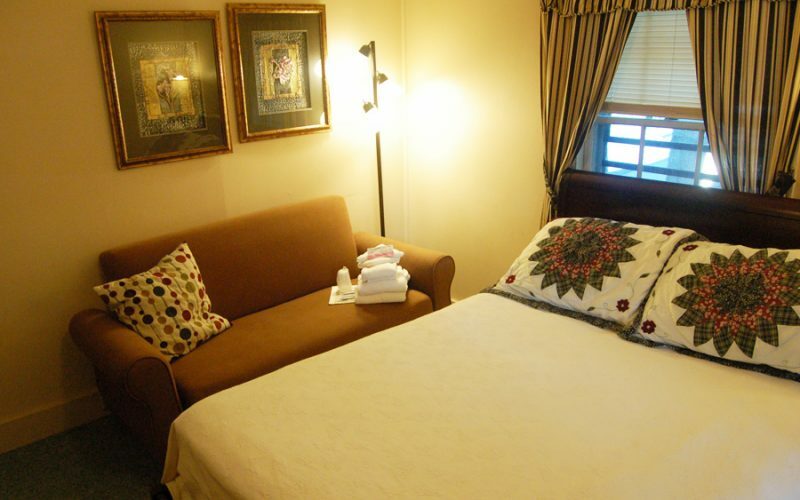 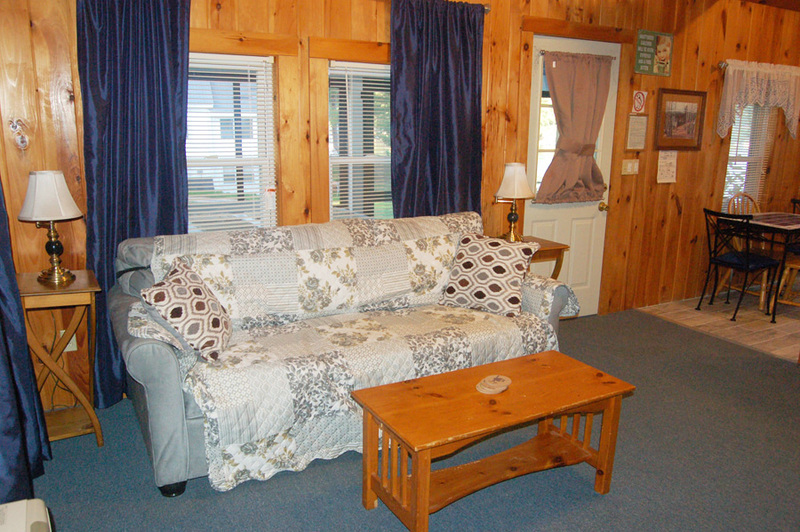 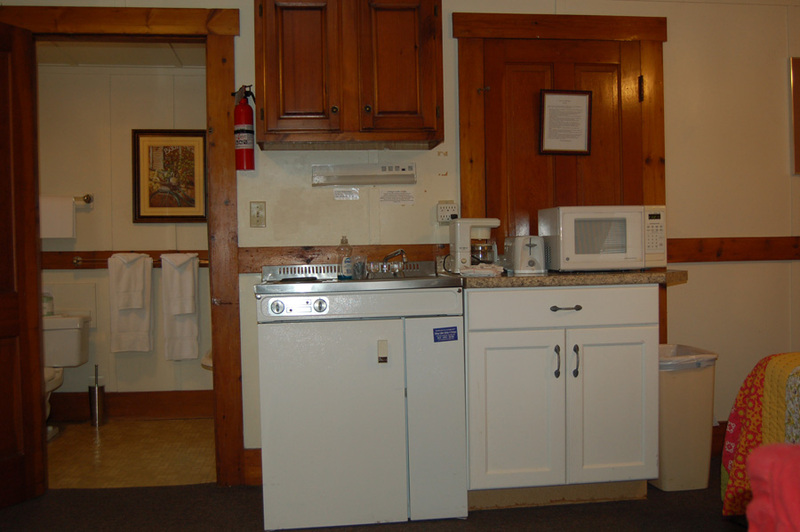 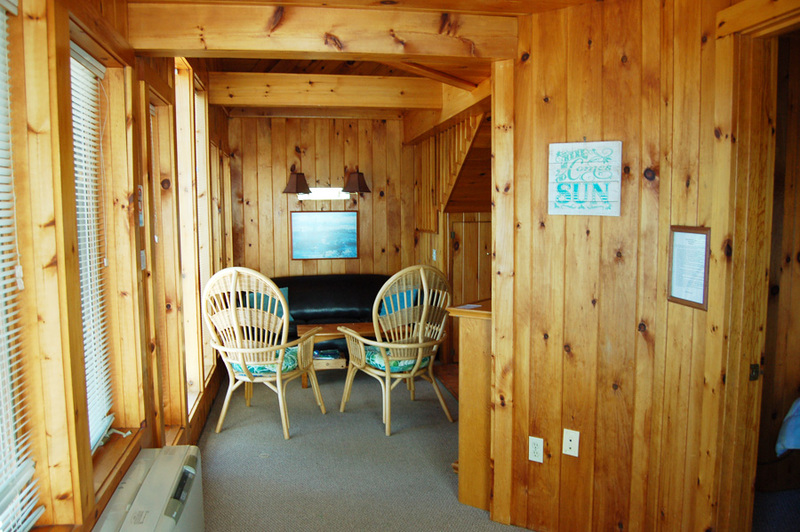 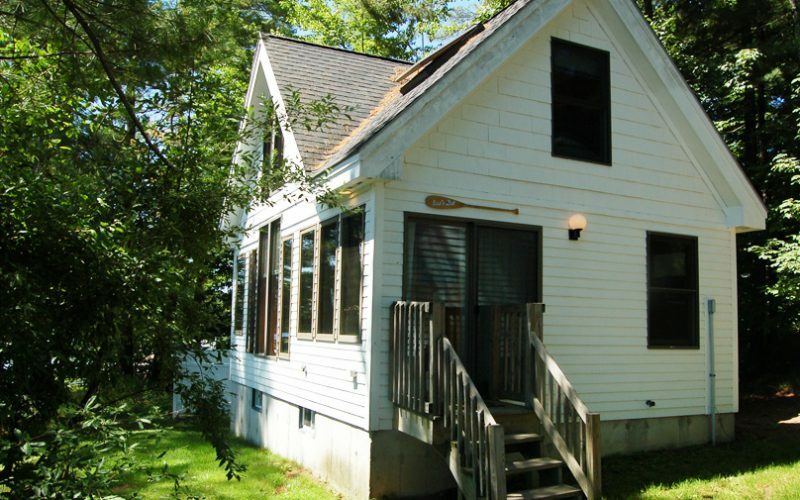 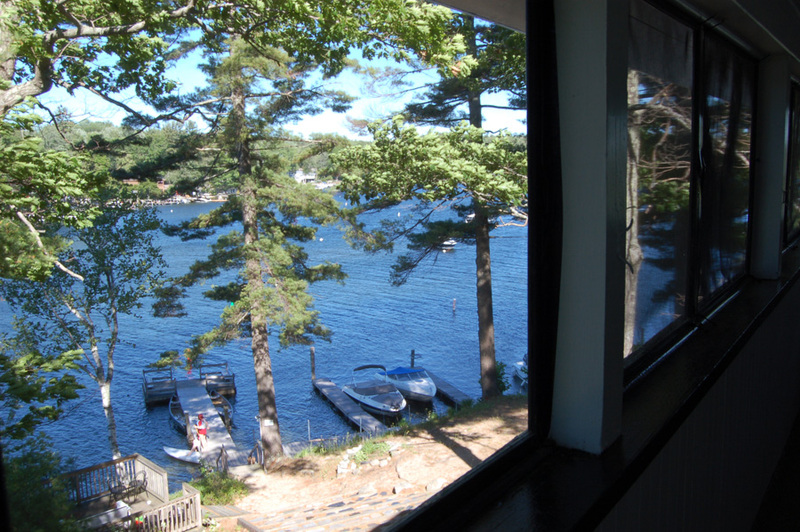 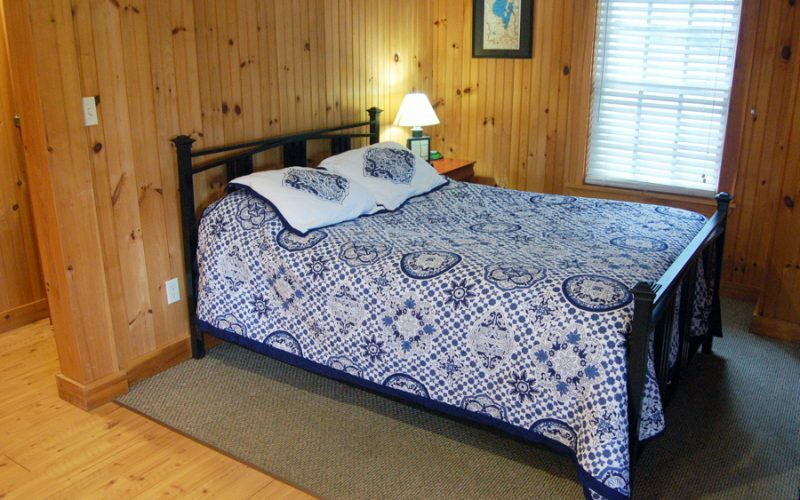 Rooms 2B and 2C can be rented together (with connecting doors) making it the Sebago View Suite or separately as two individual inn style rooms with an exclusive shared bathroom and kitchen.‎ Room 2B has a queen size bed and a small sitting area overlooking the lake. 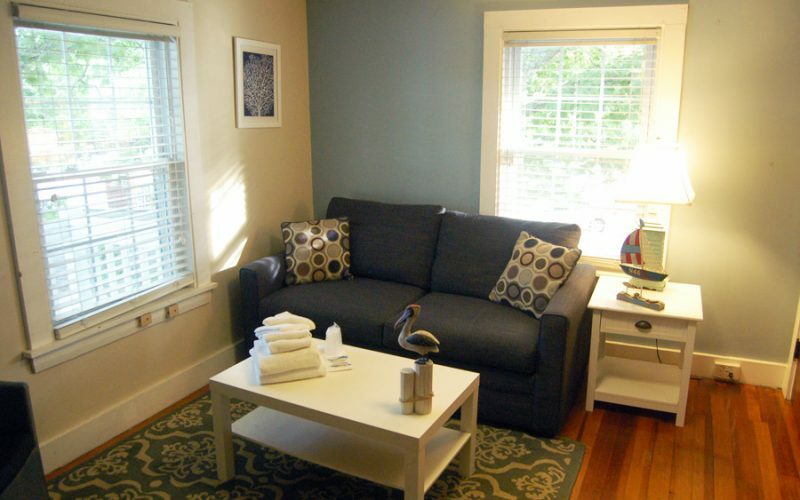 Room 2C has a pull-out couch with a full-size memory foam bed and a living room set-up. 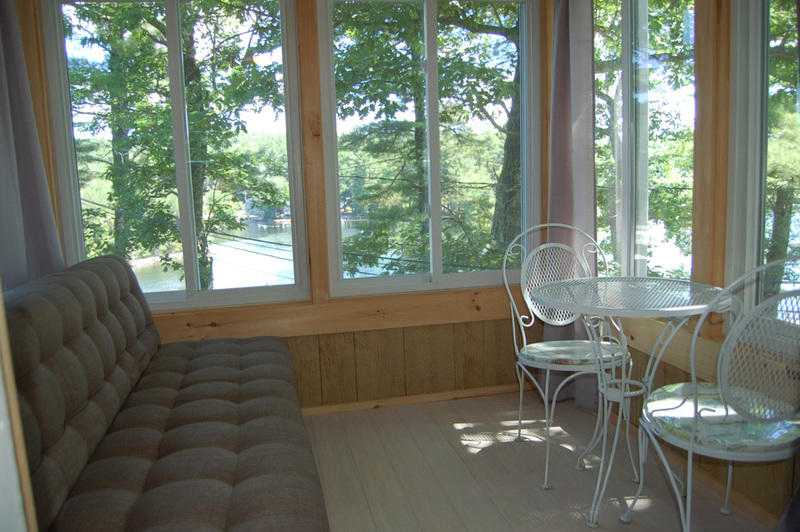 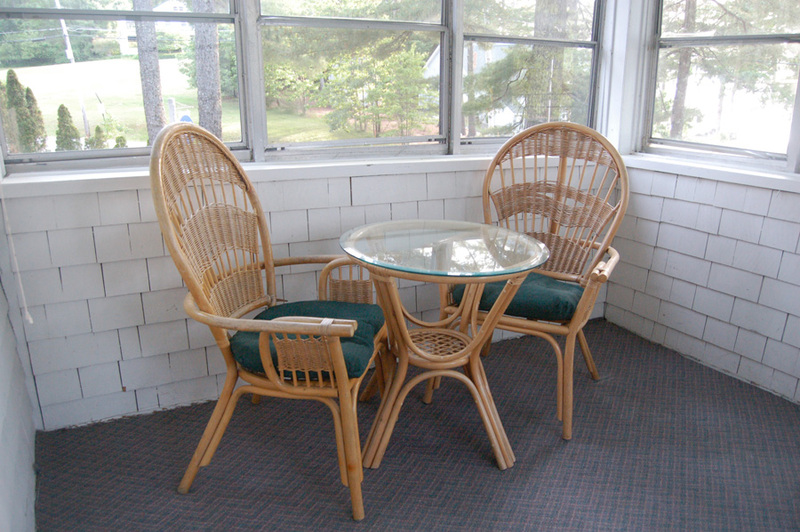 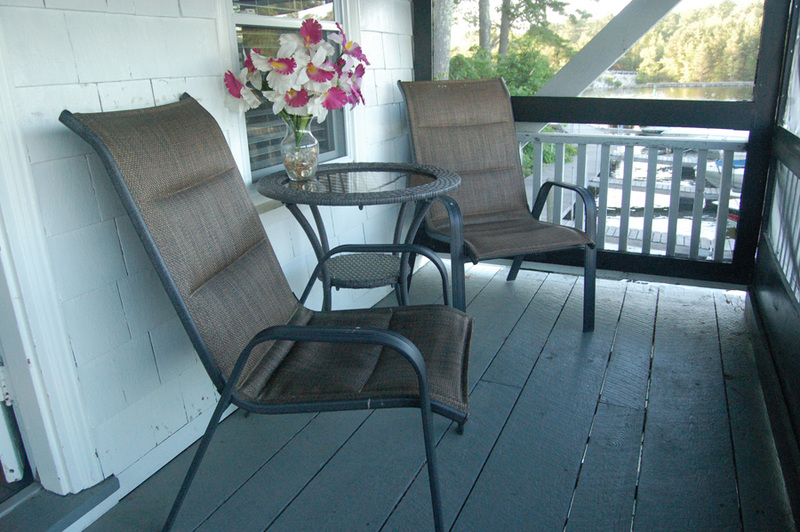 The suite is on the top floor of the guest house and has great views of the lake. 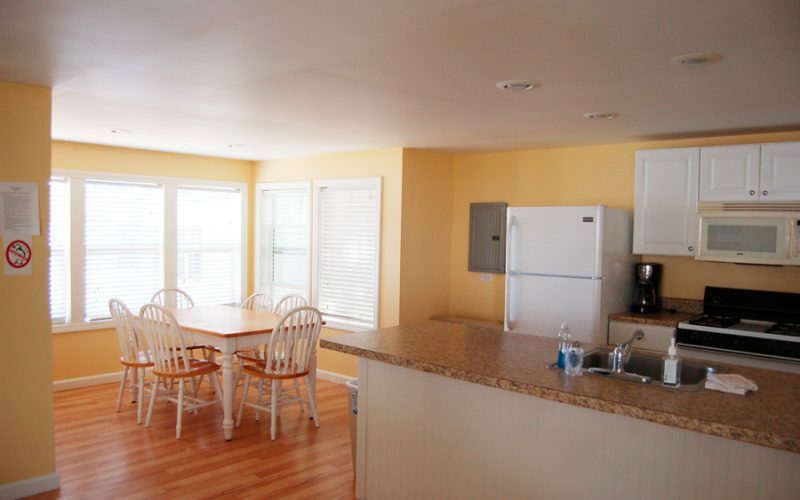 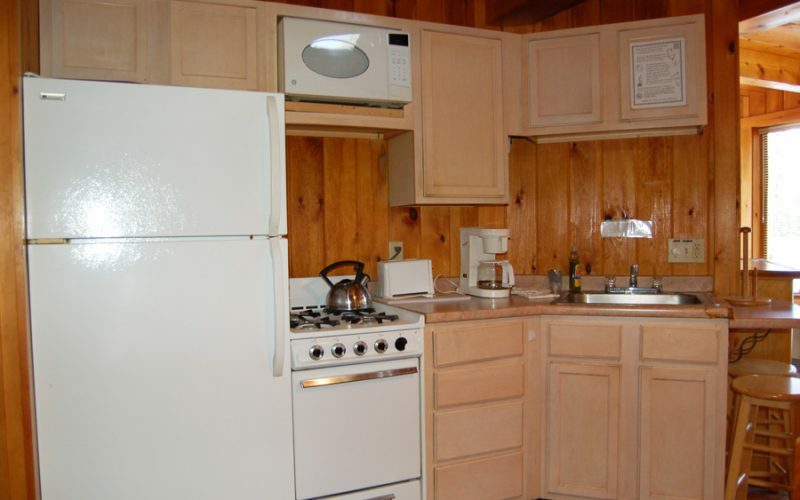 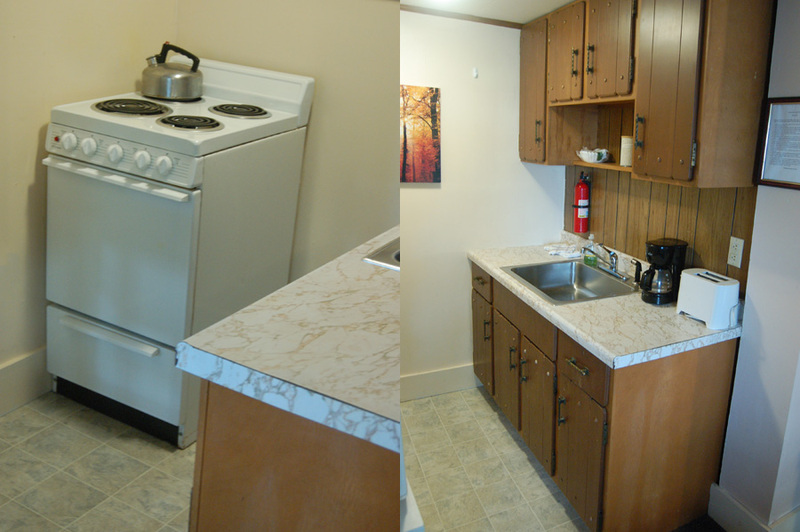 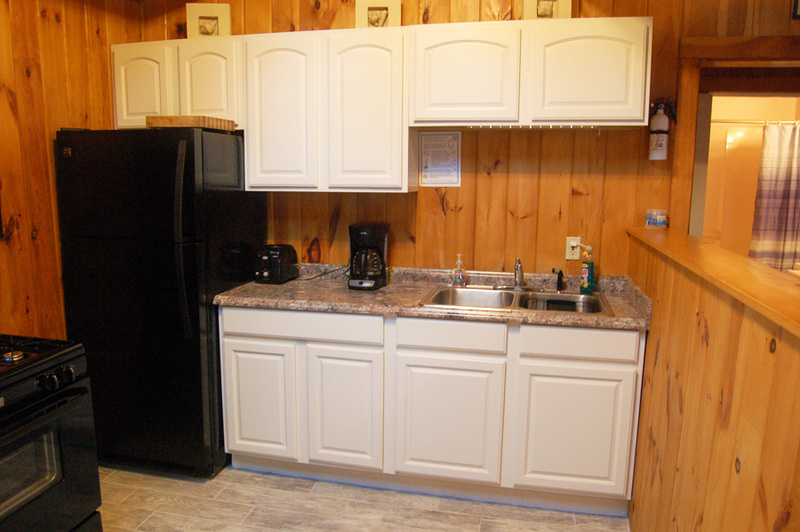 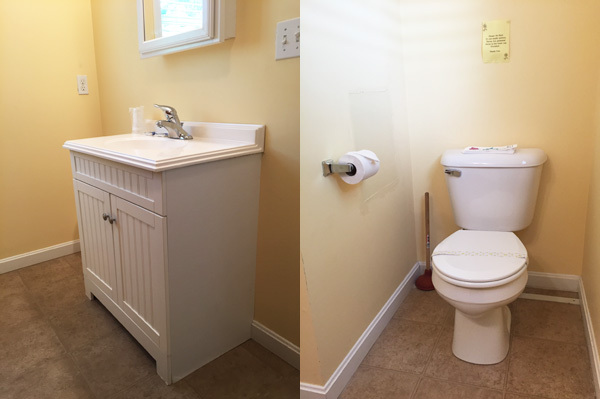 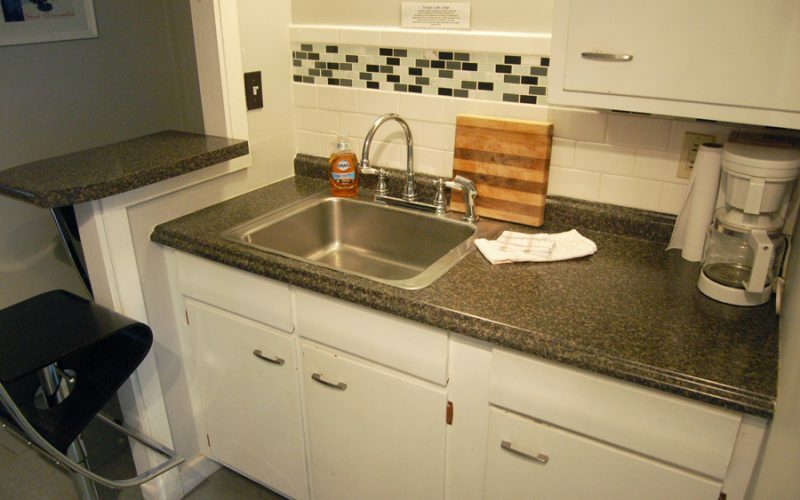 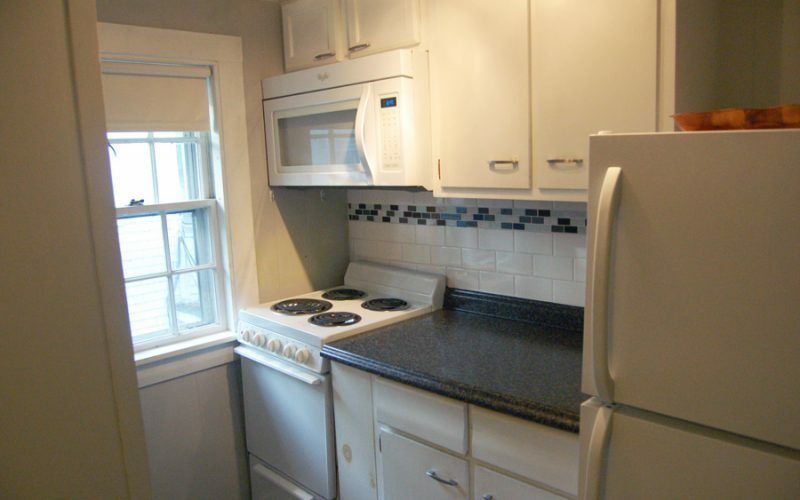 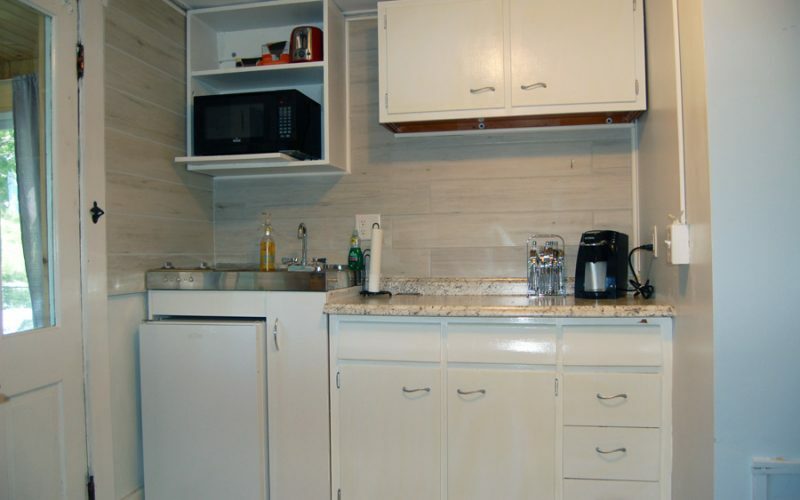 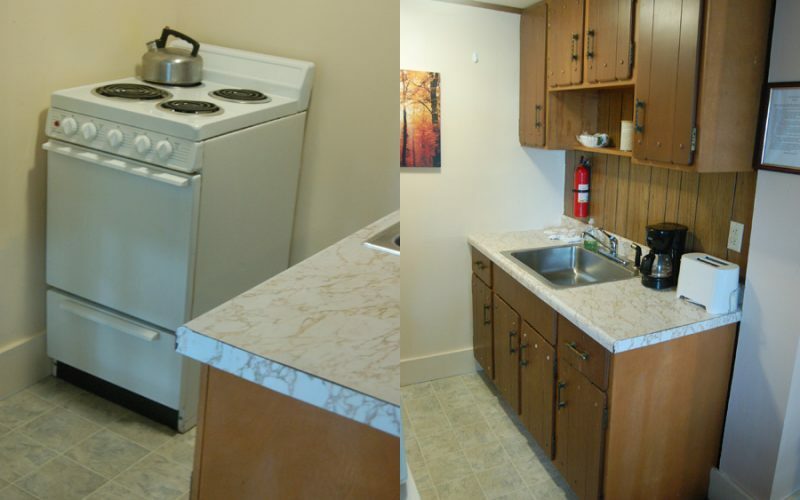 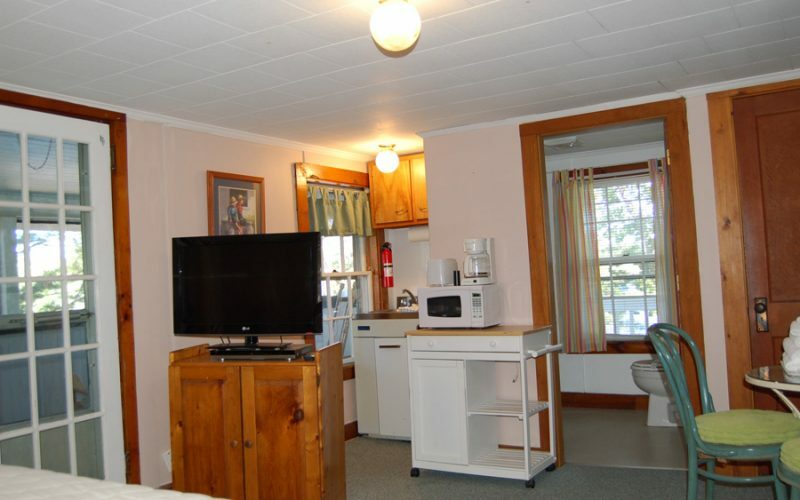 It has been recently renovated and includes a breakfast area in the kitchen, updated decor, and new furniture. 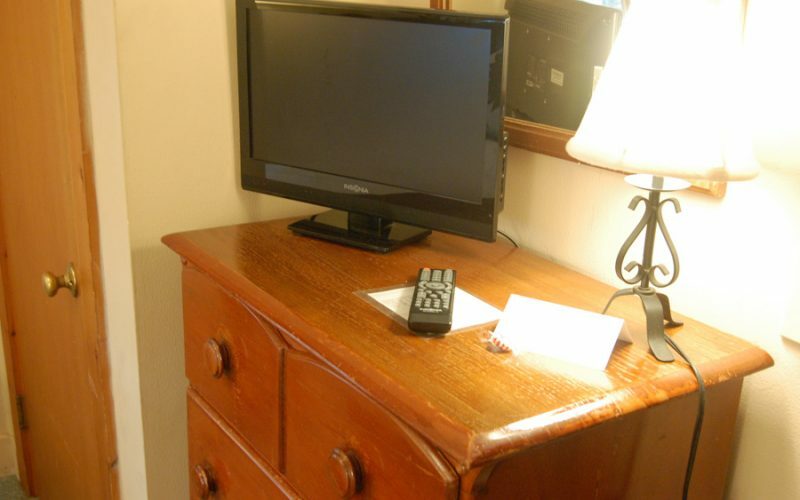 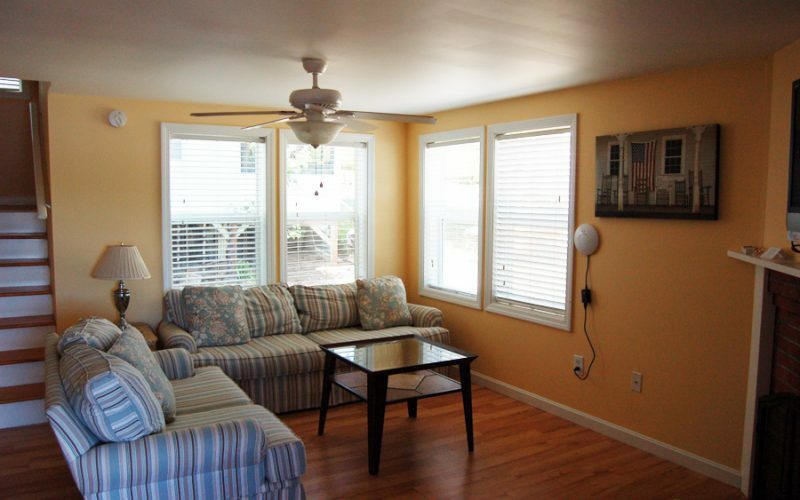 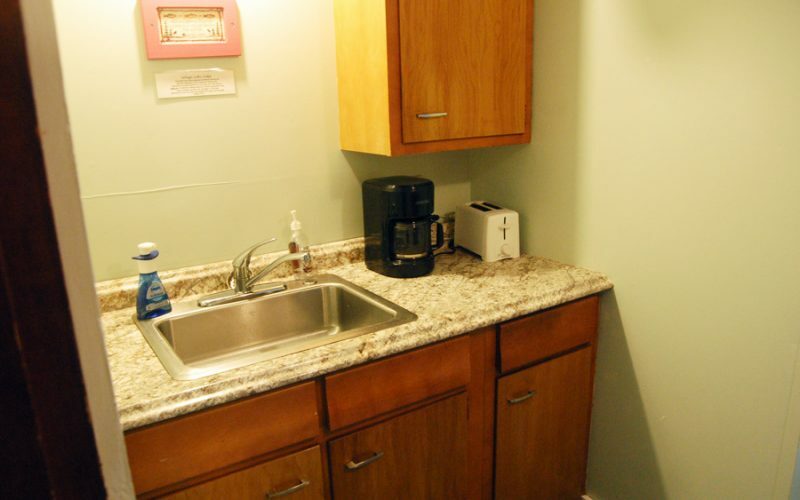 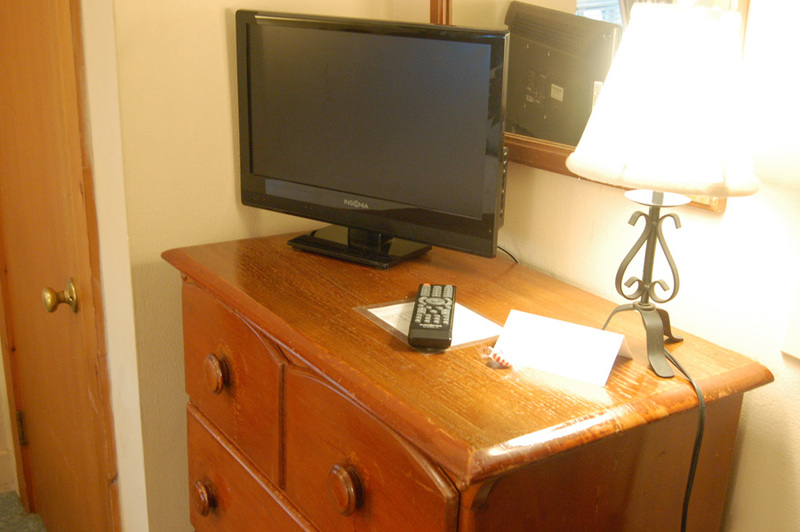 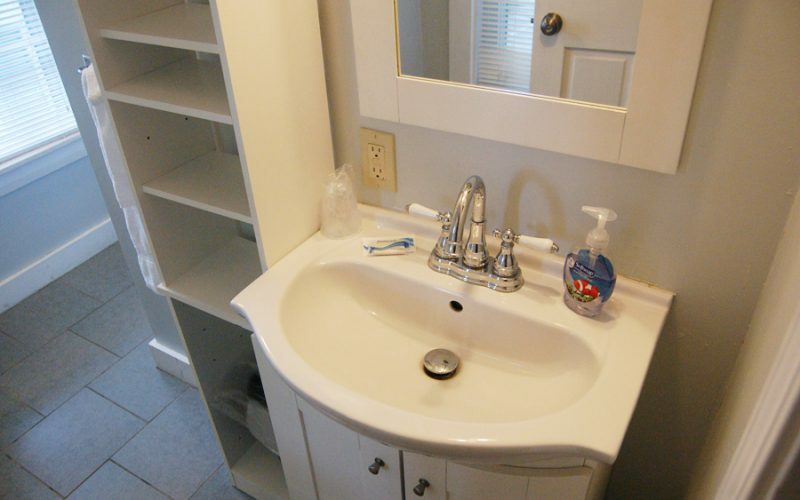 Other amenities include an iPhone/iPad music speakers, DVD player, and flat-screen televisions. 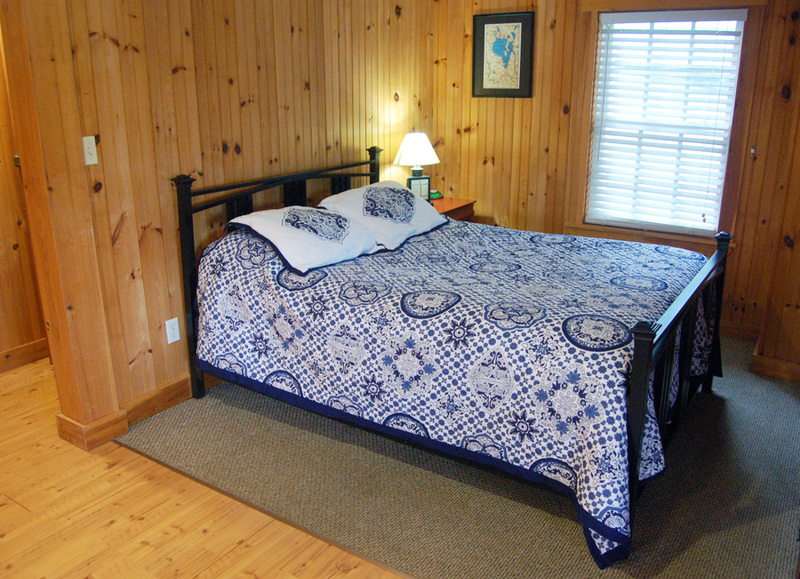 Room 3, located in the main lodge, sleeps 2 with a queen bed. 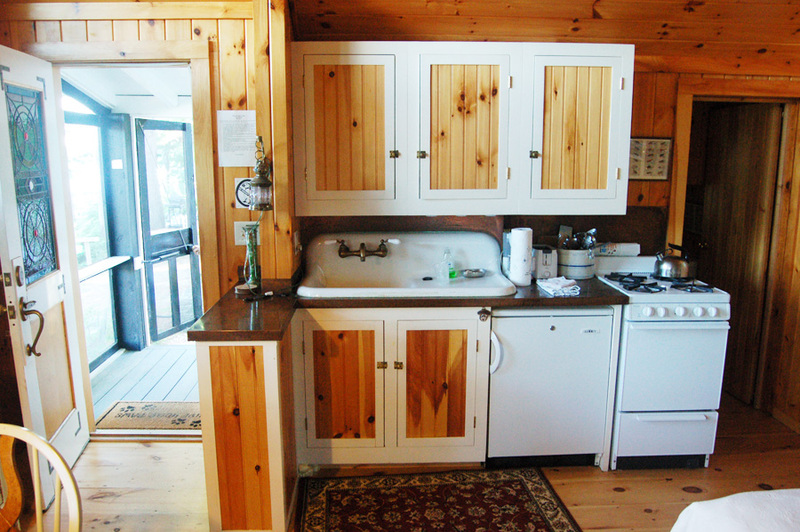 The room has an en suite bathroom and kitchenette, along with a screened–in porch that overlooks the lake. 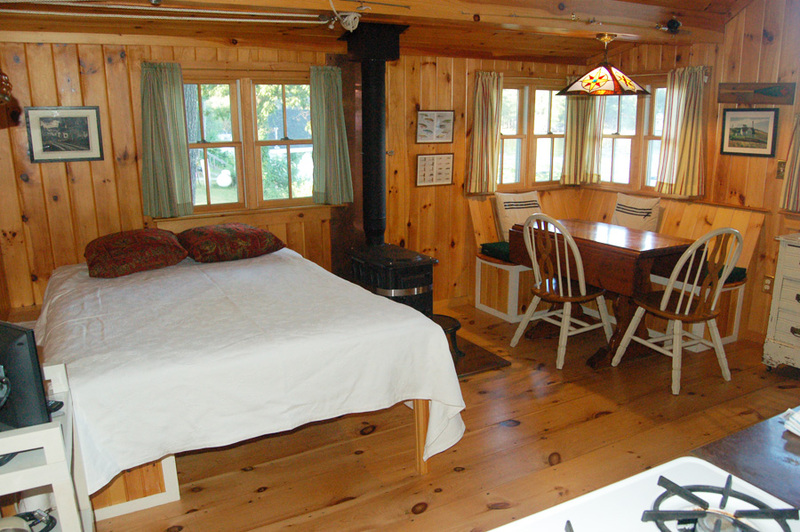 Located in the main lodge, sleeps 2. 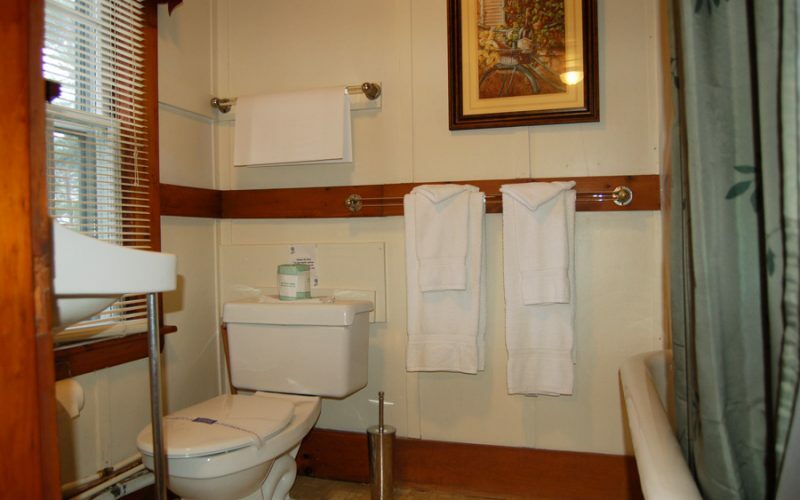 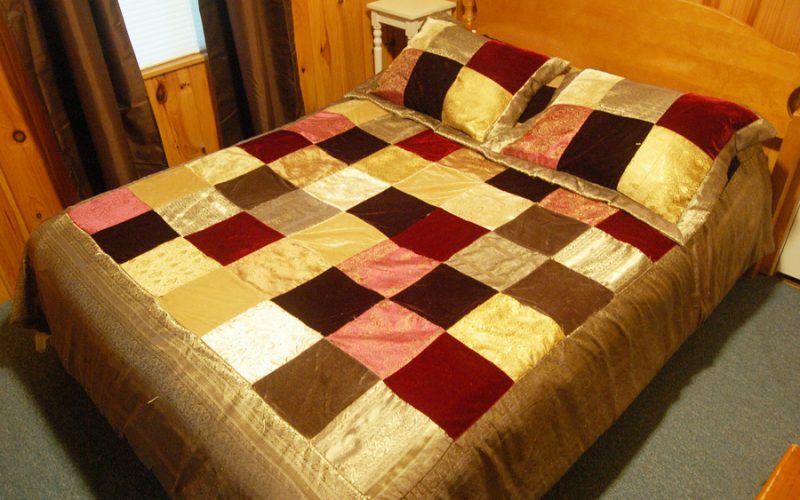 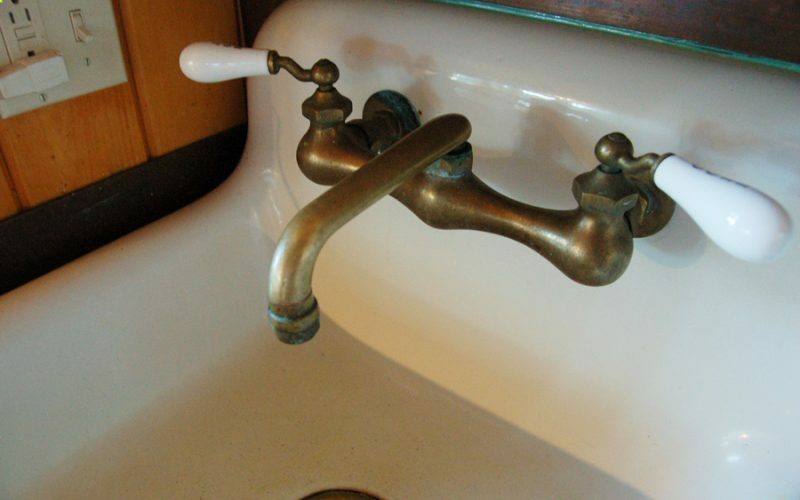 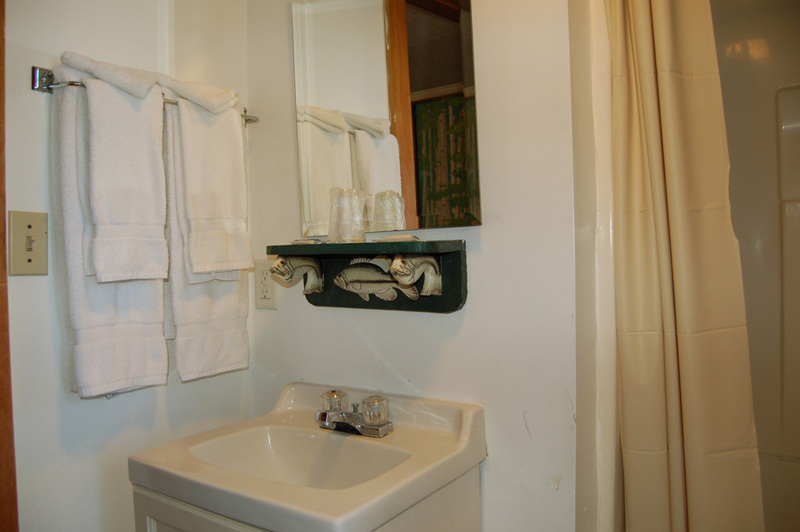 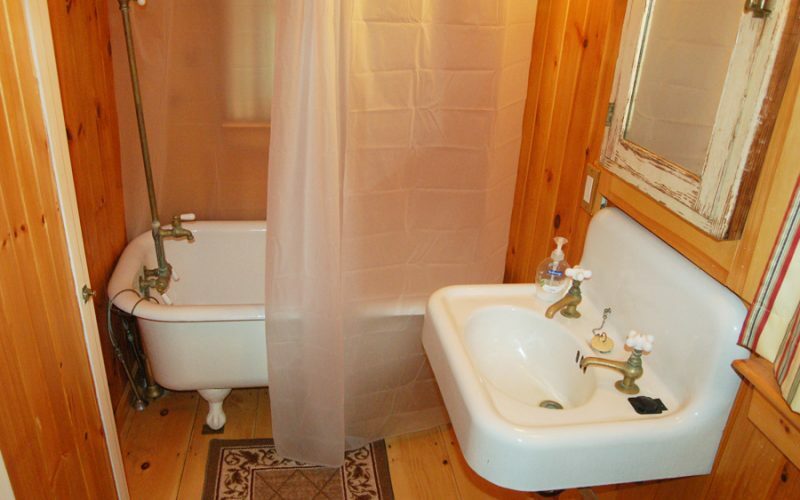 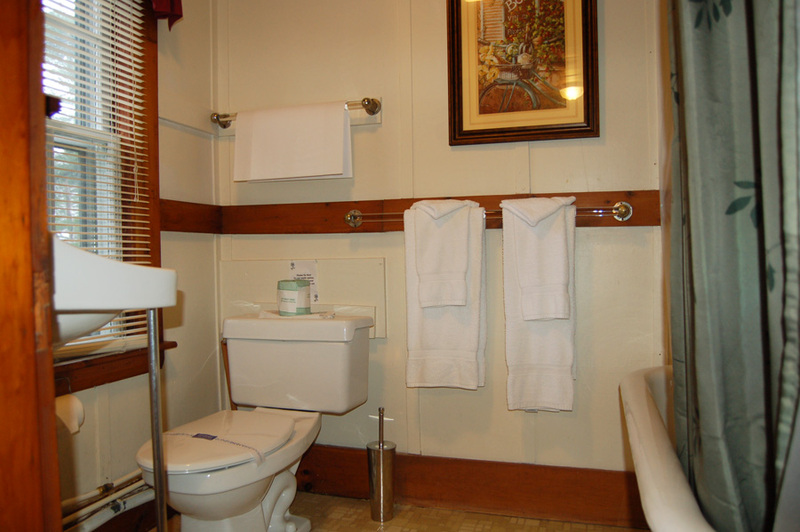 There is a queen-sized bed and the room has a screened in porch, and an en-suite bathroom and kitchenette. 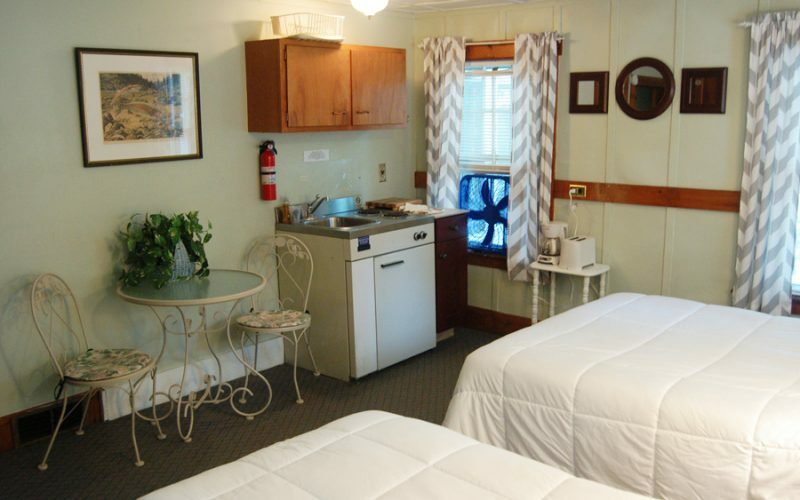 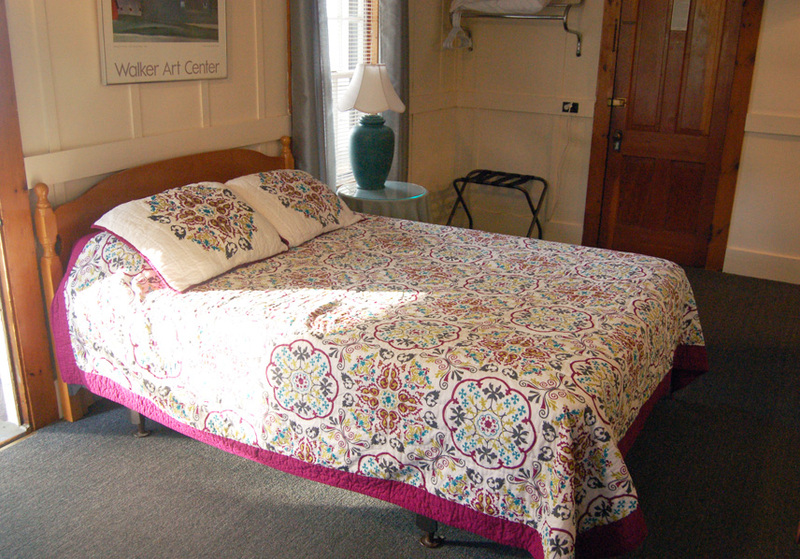 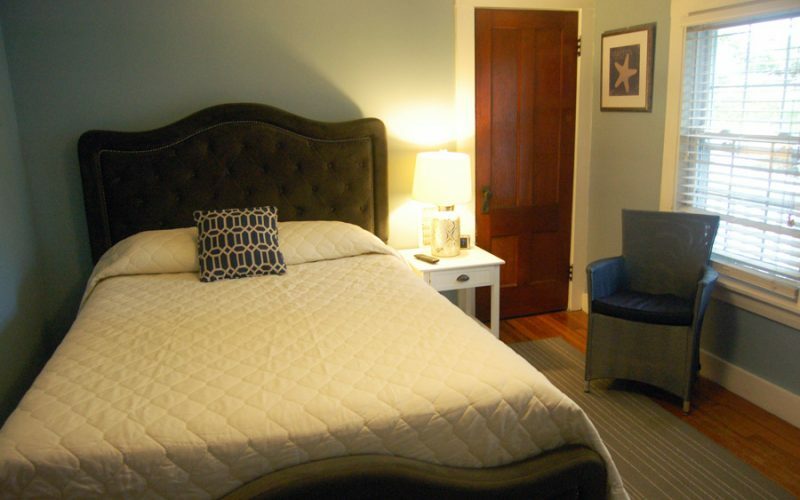 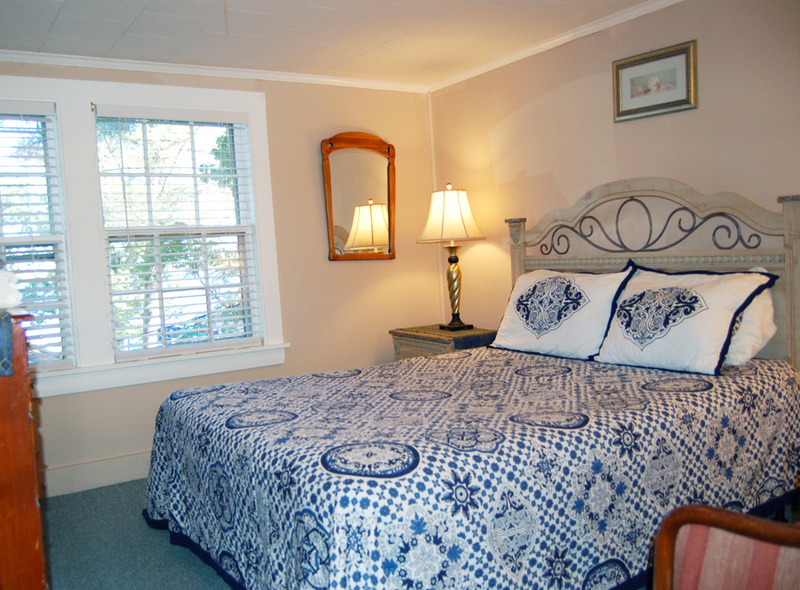 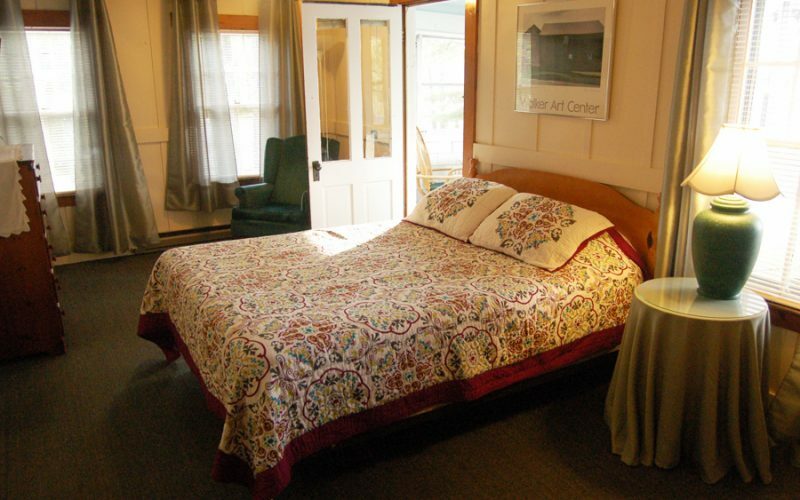 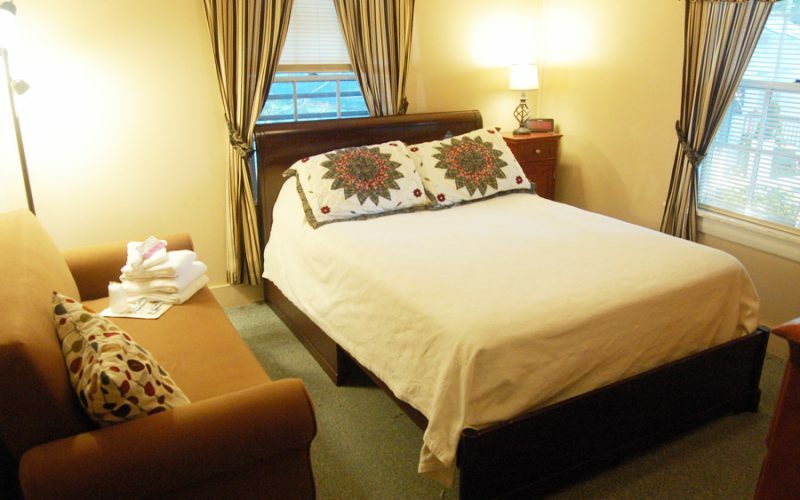 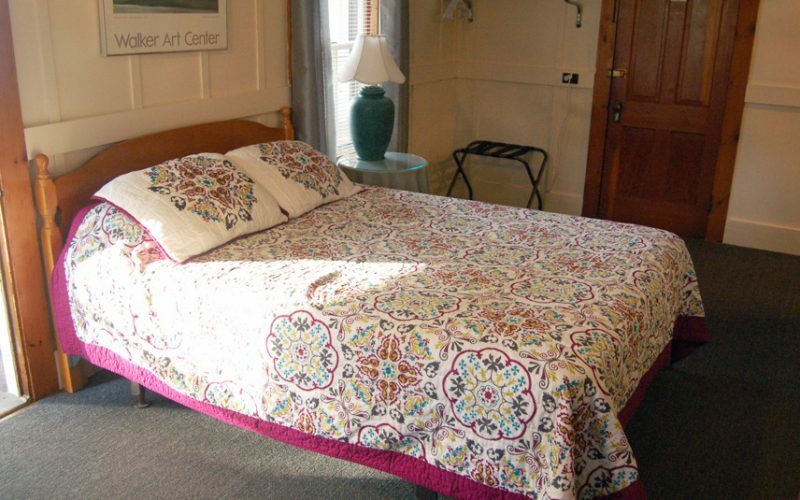 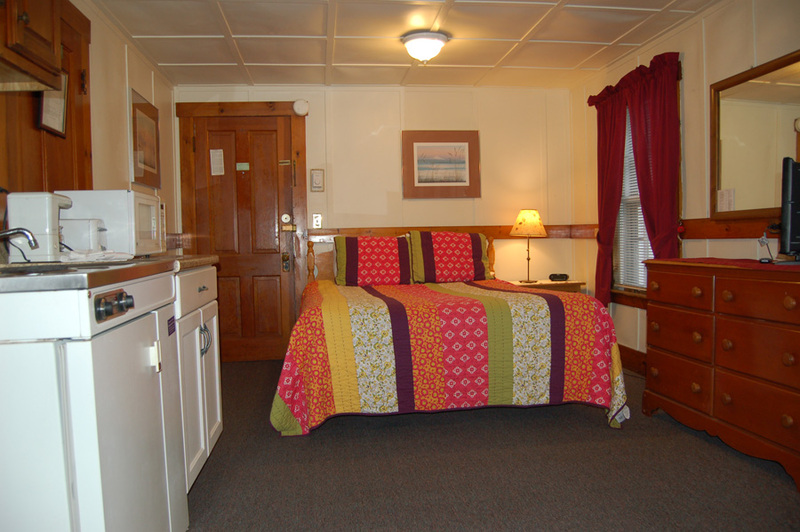 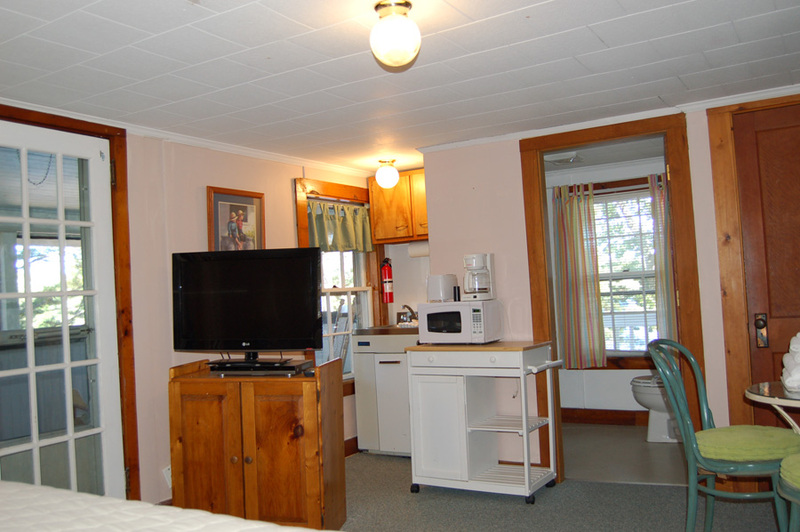 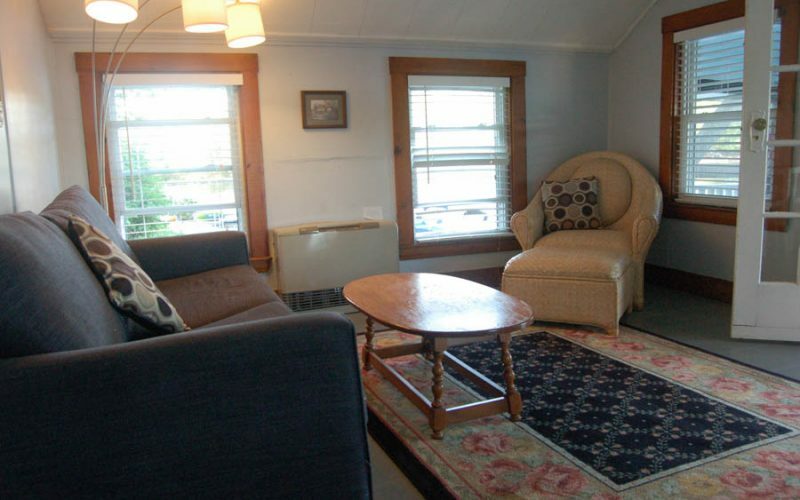 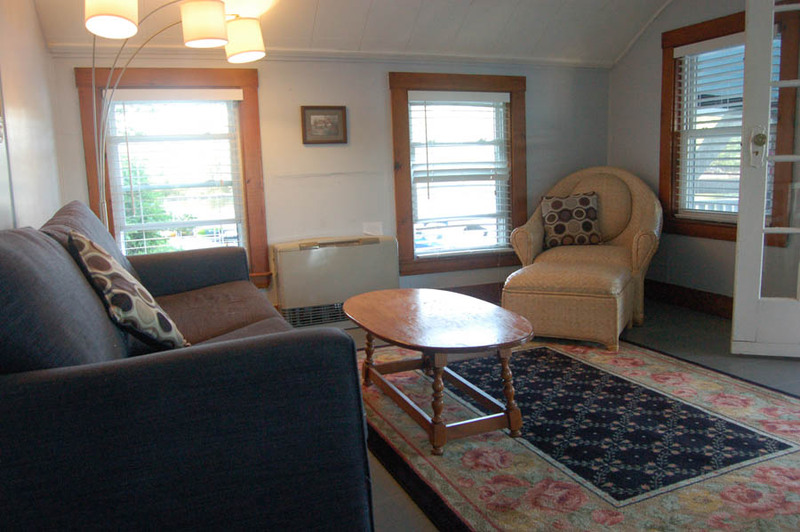 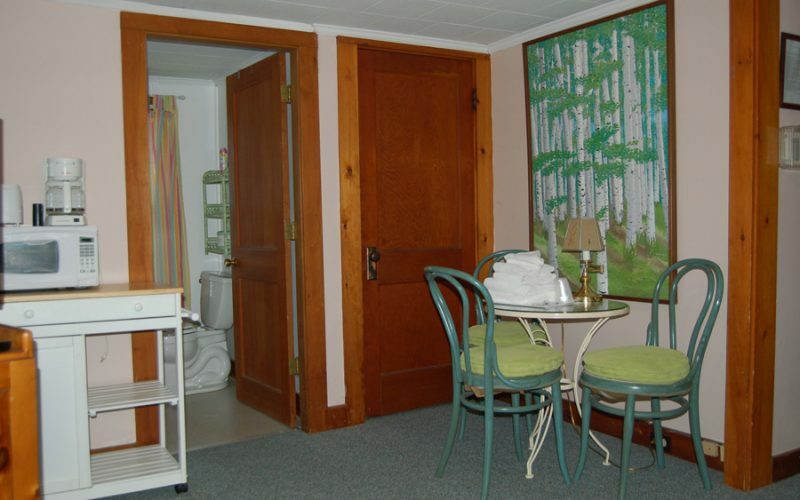 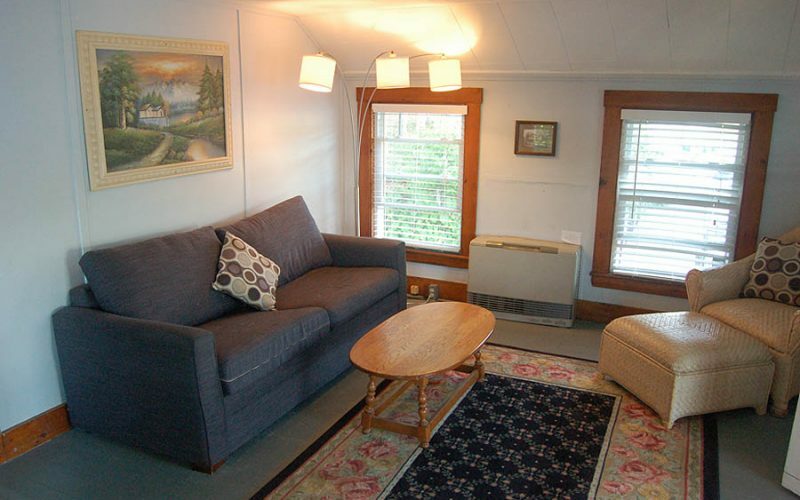 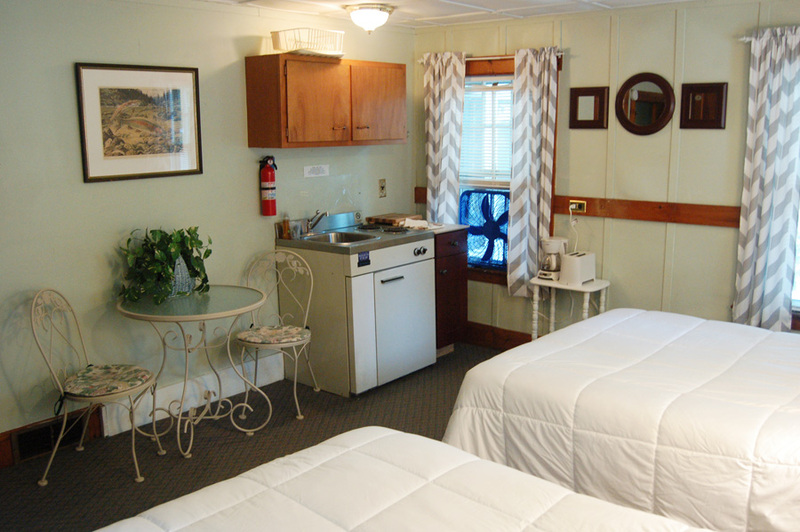 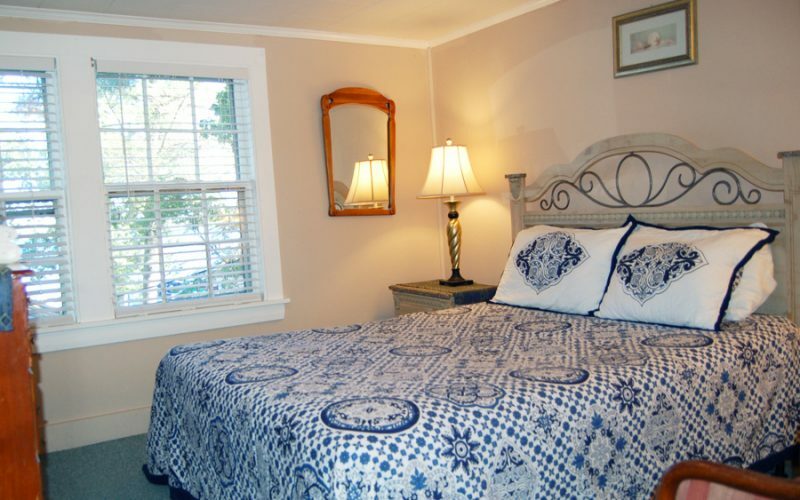 Room 6, is 1 room with queen bed, kitchenette, private bath and enclosed porch. 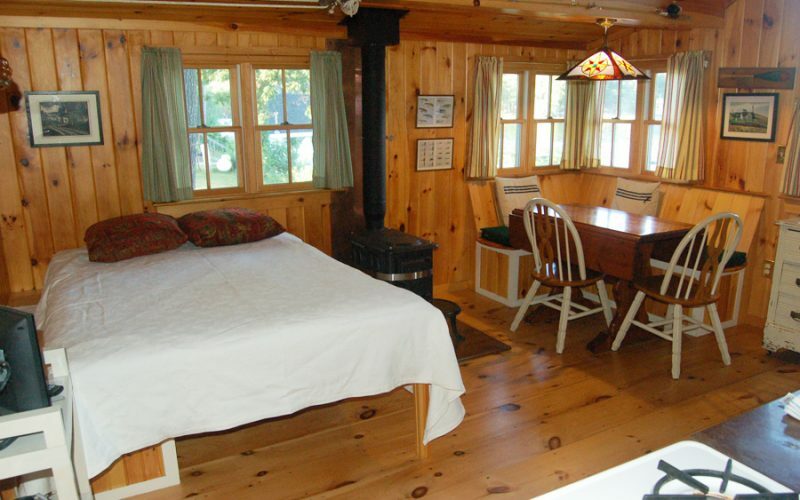 Located in the main lodge, sleeps 4. 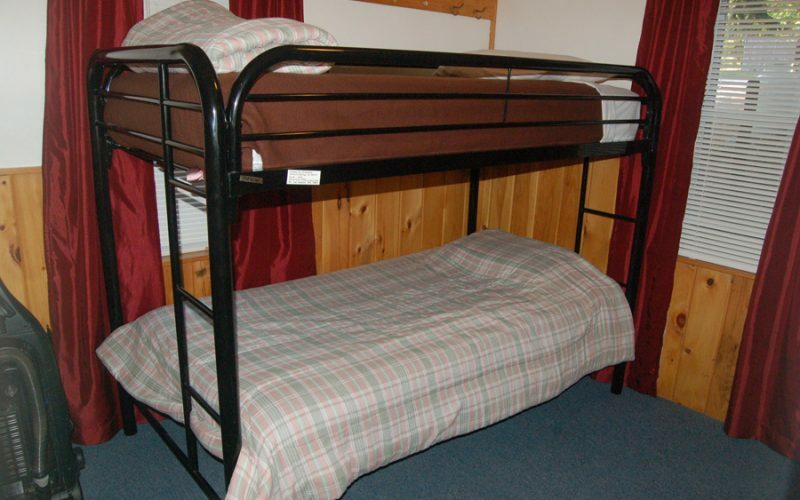 There are two double beds. 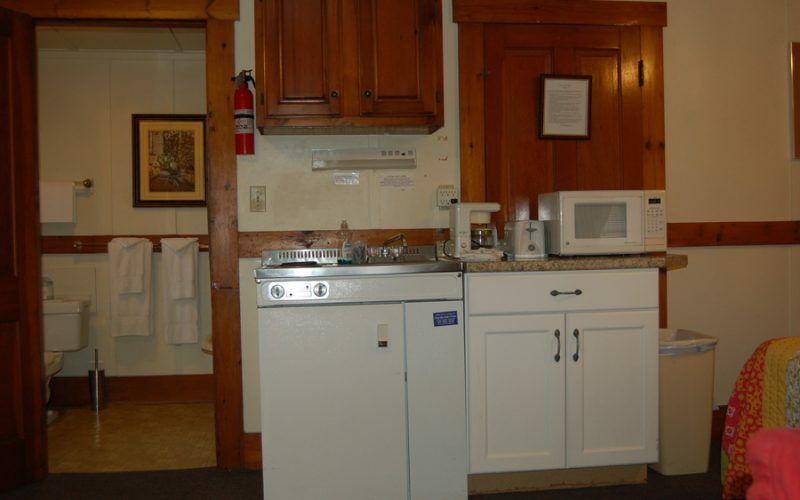 The room has an en suite bathroom and kitchenette.